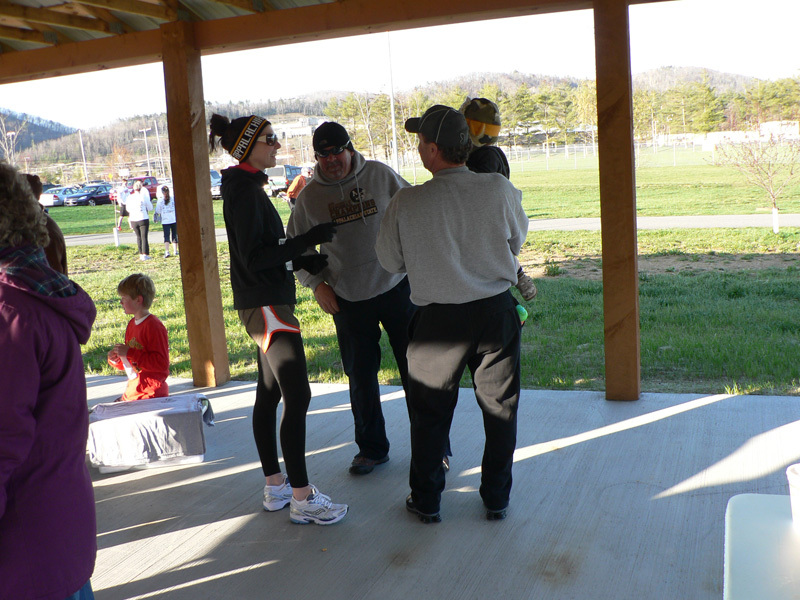 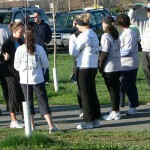 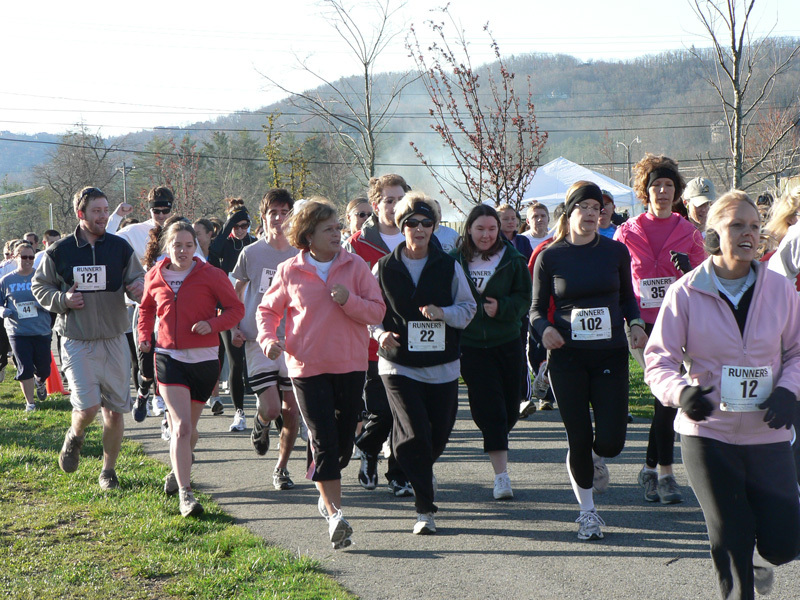 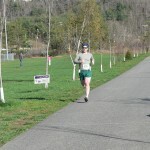 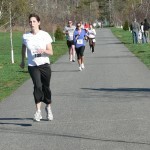 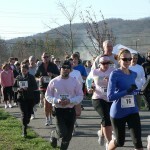 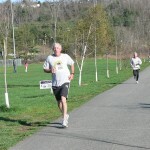 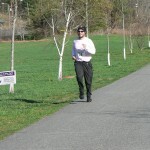 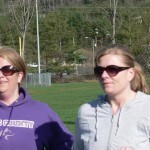 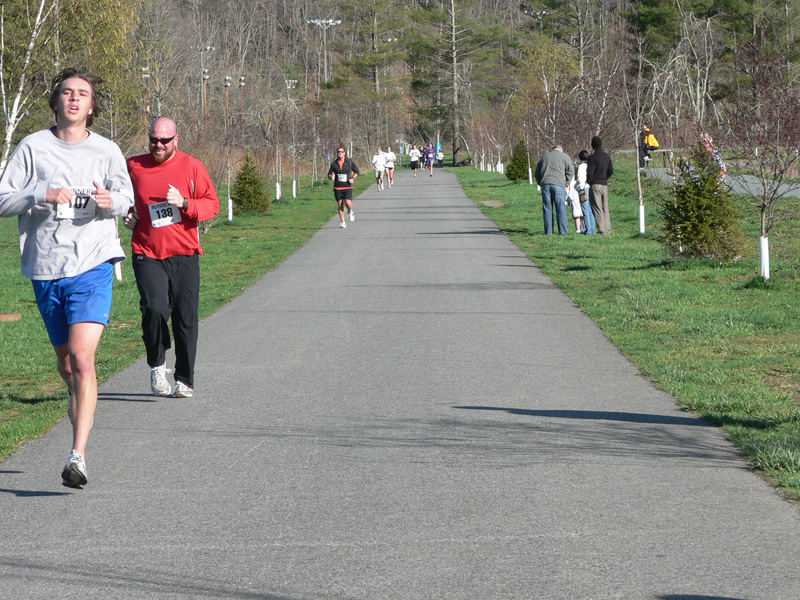 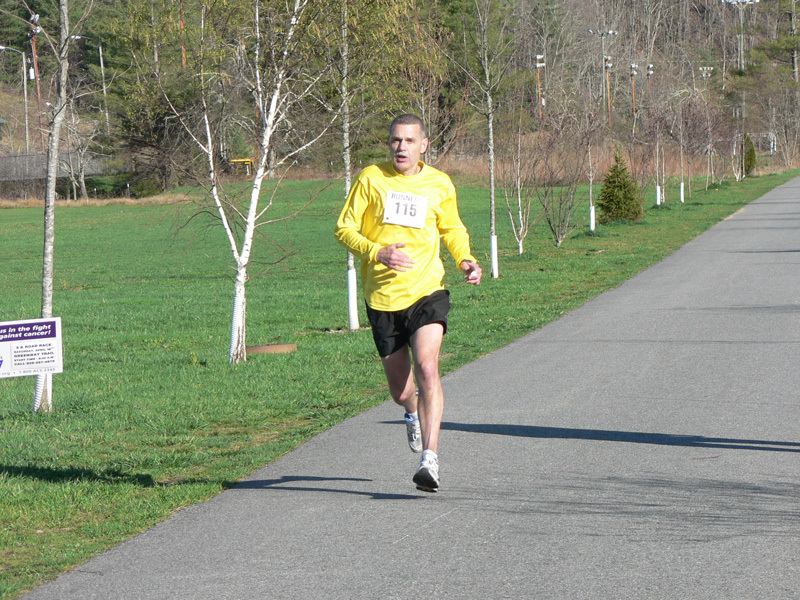 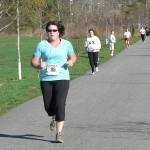 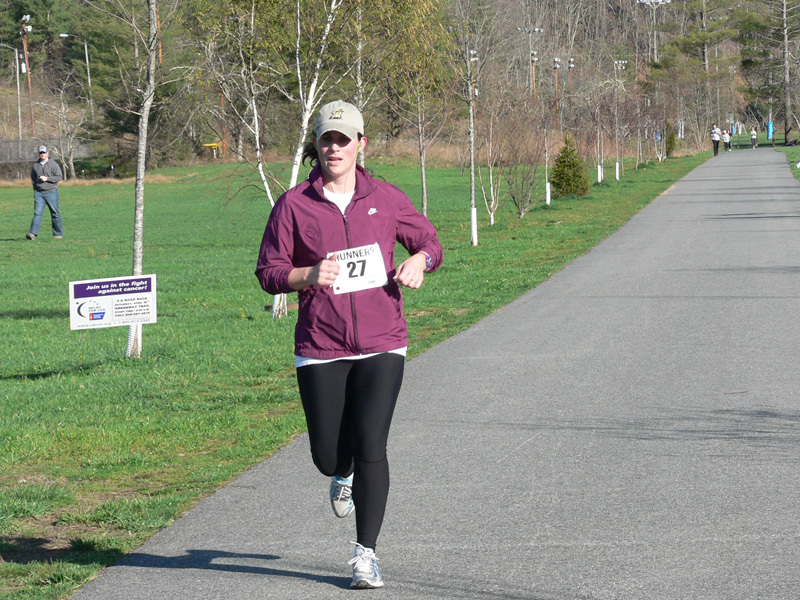 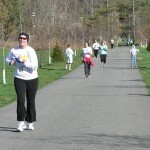 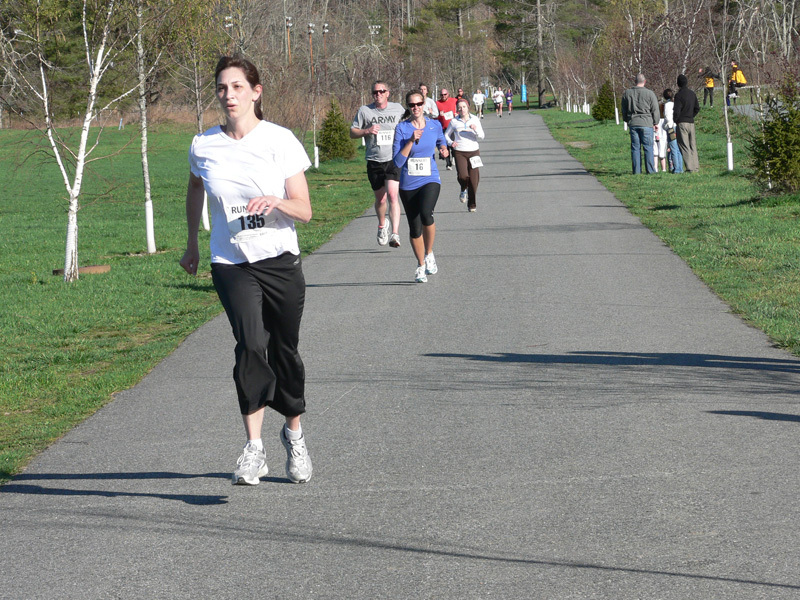 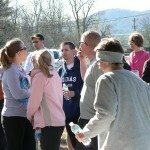 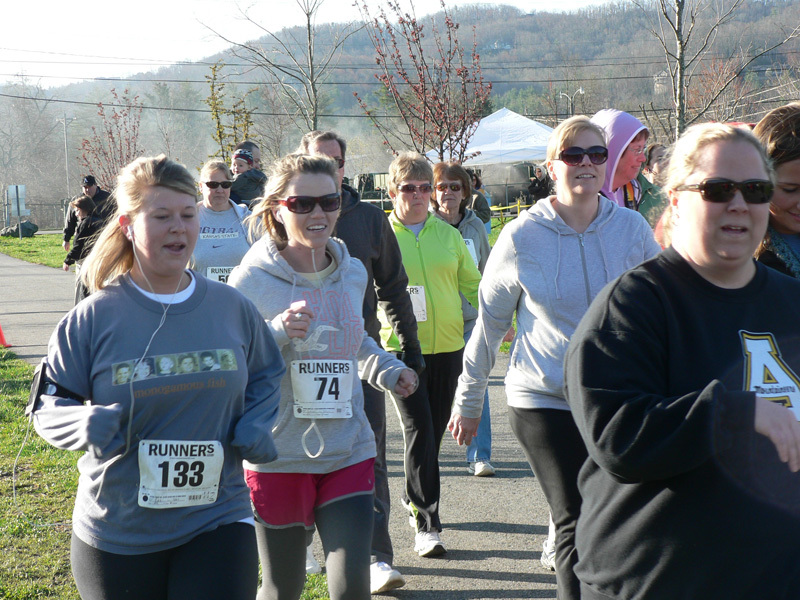 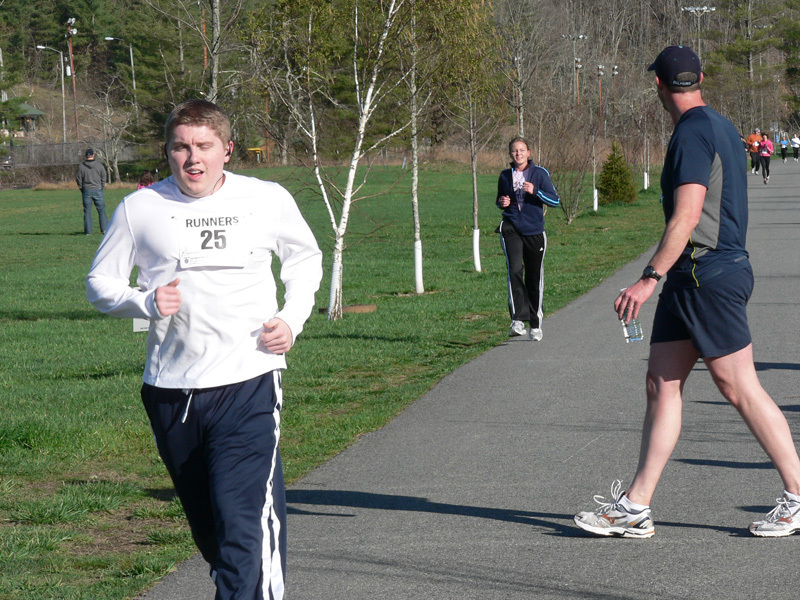 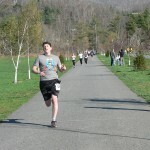 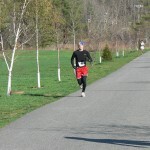 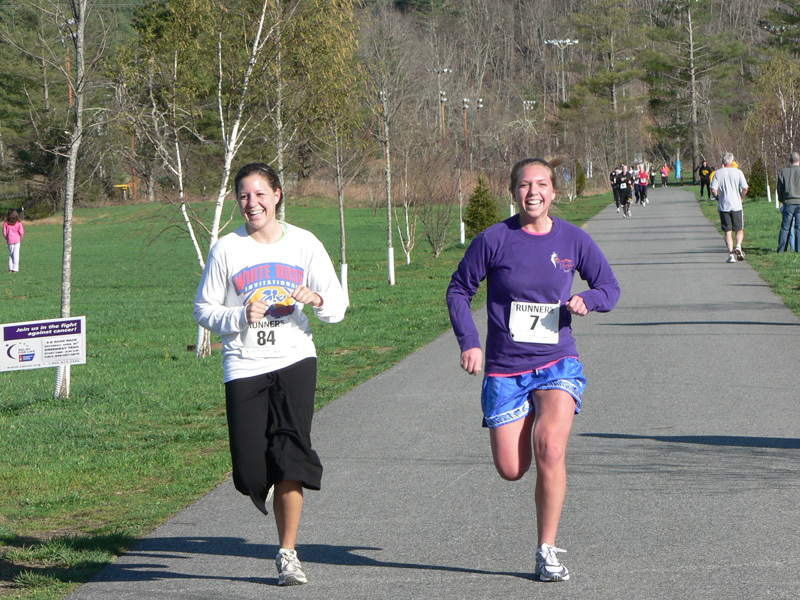 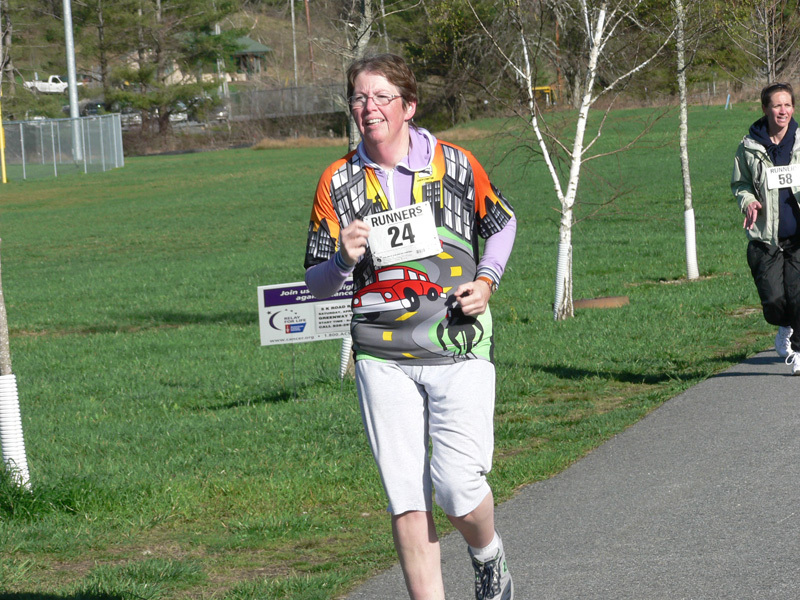 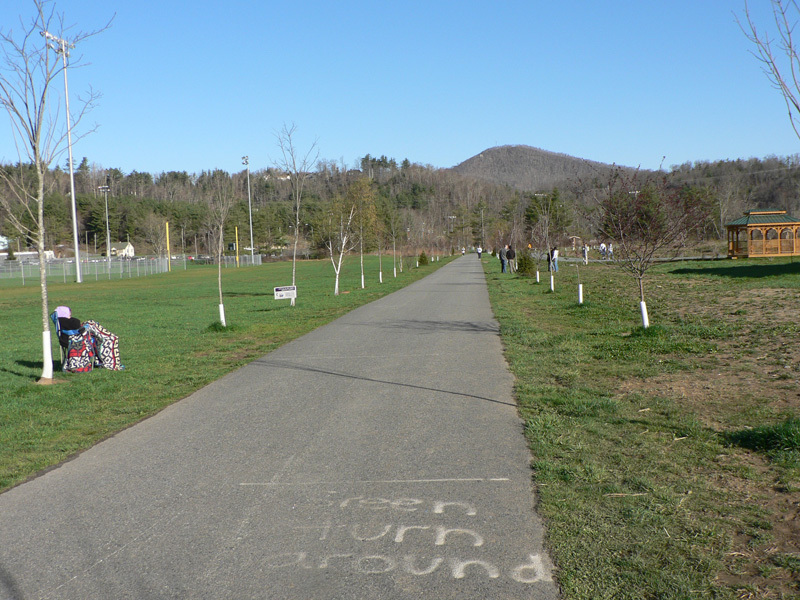 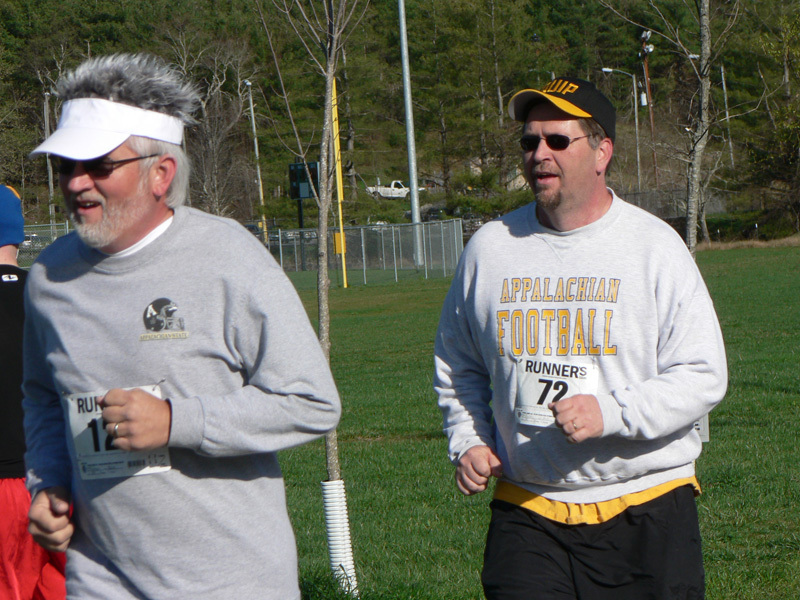 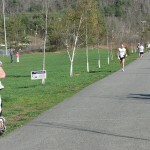 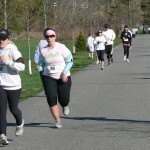 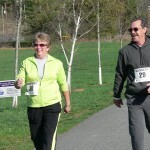 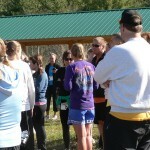 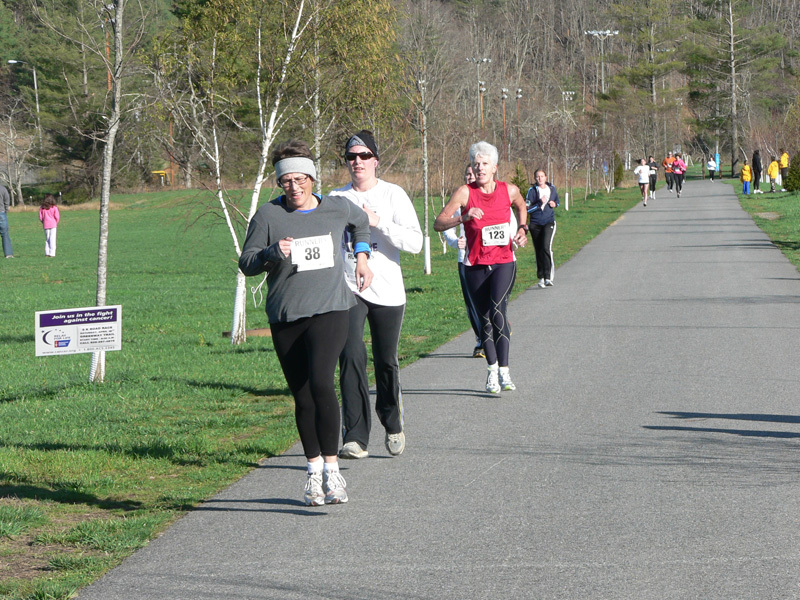 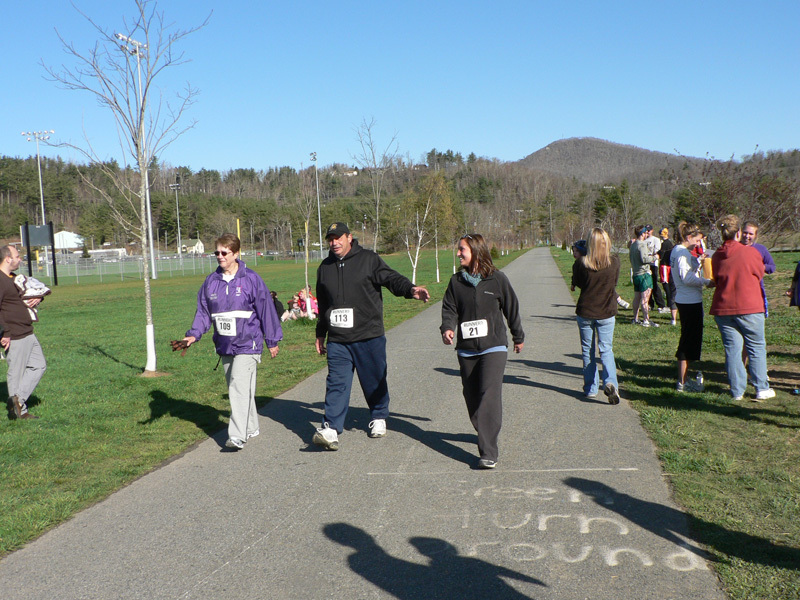 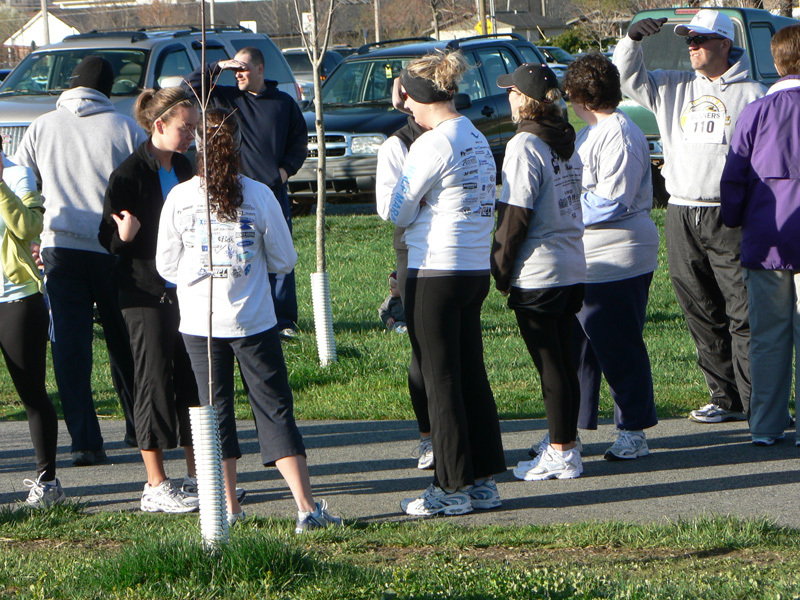 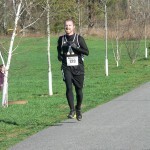 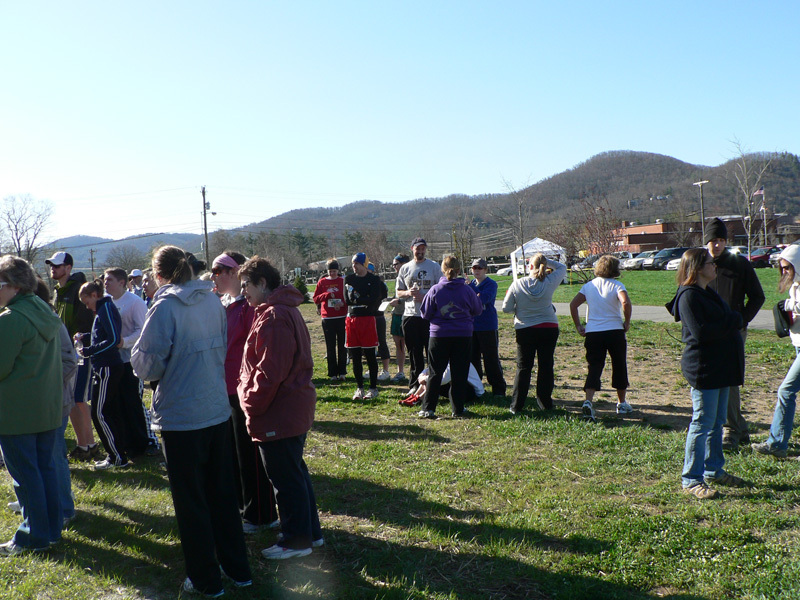 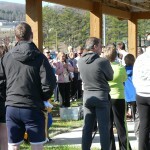 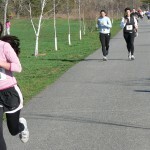 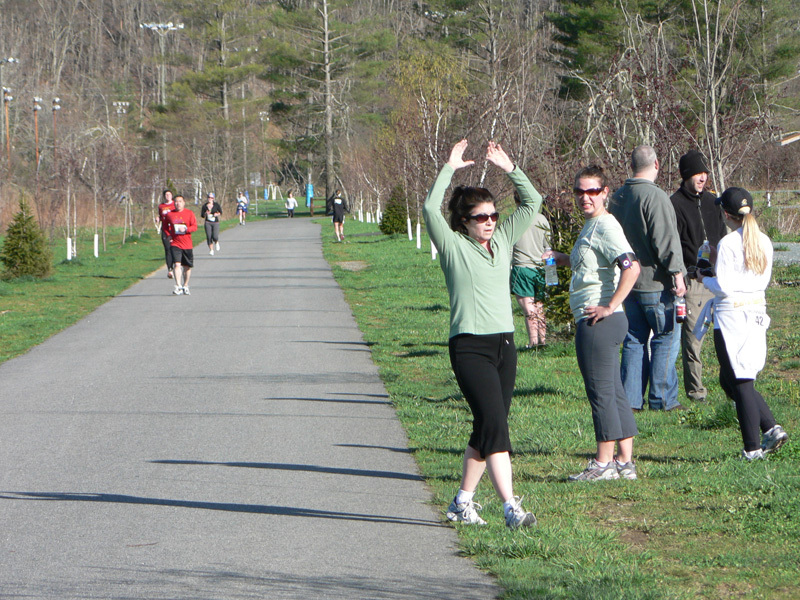 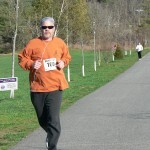 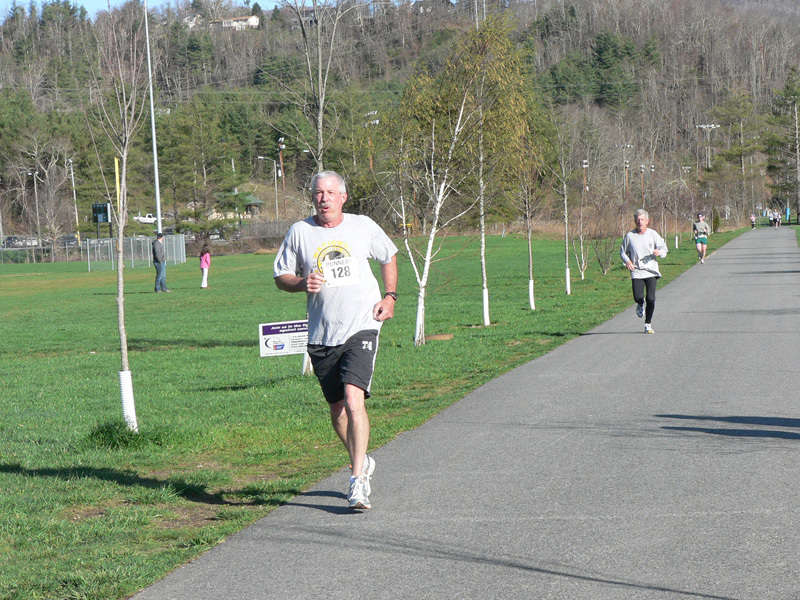 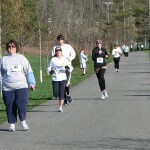 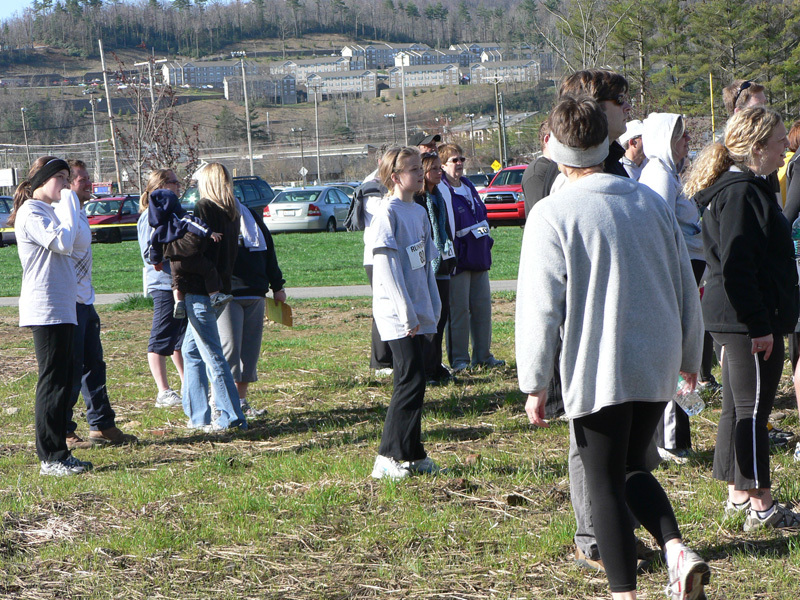 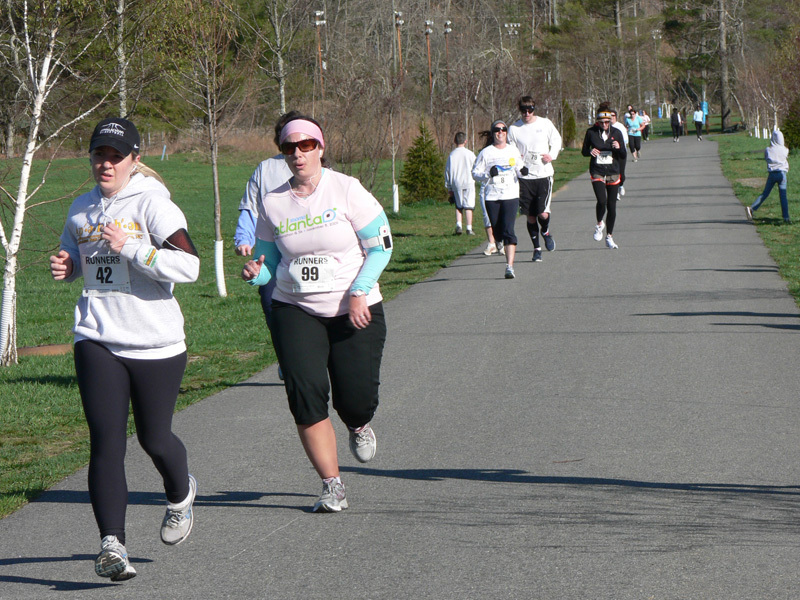 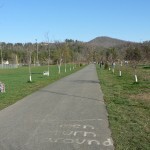 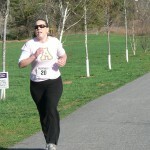 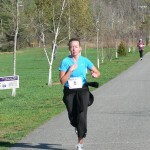 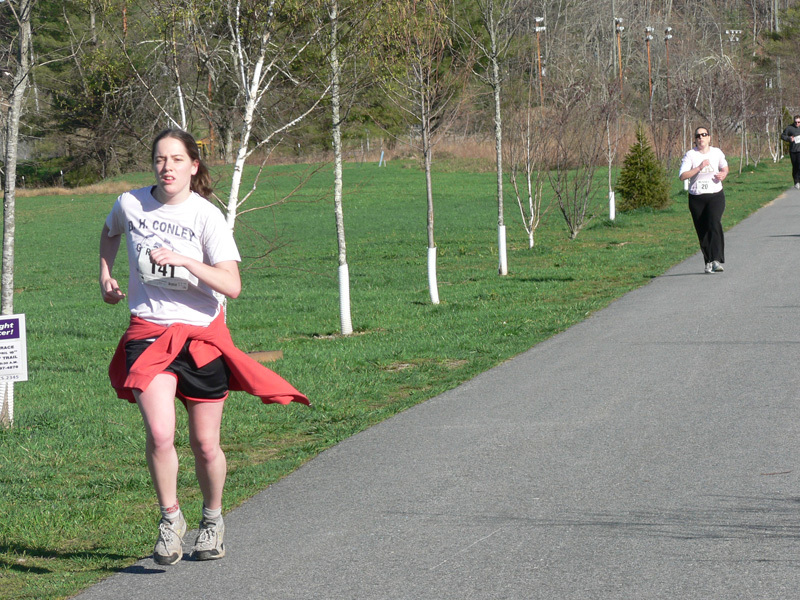 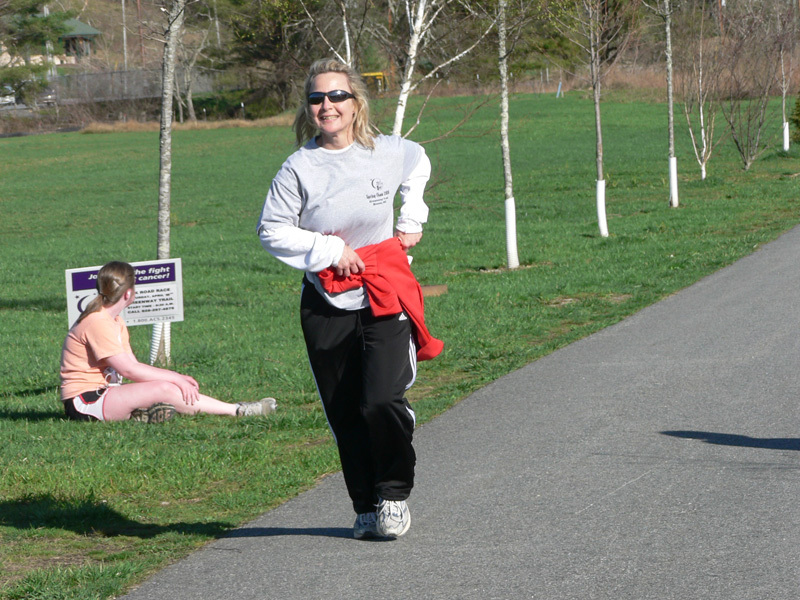 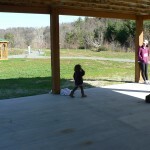 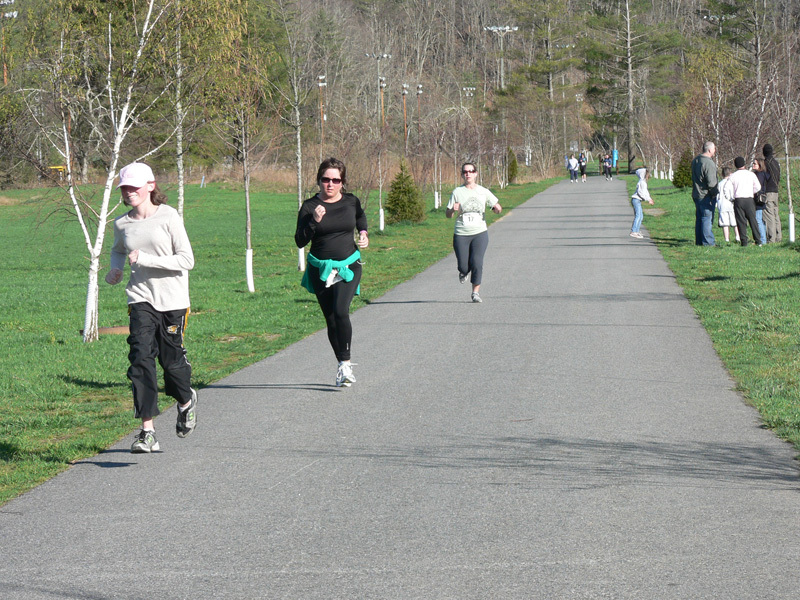 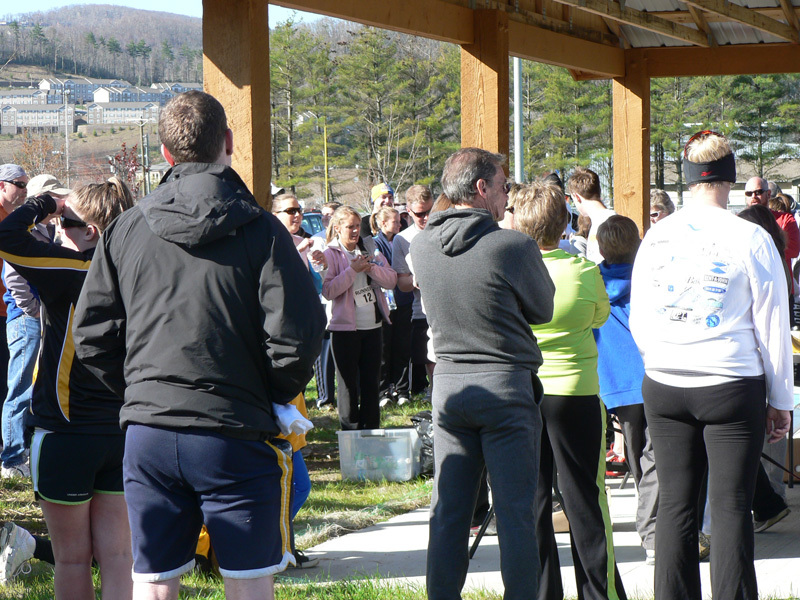 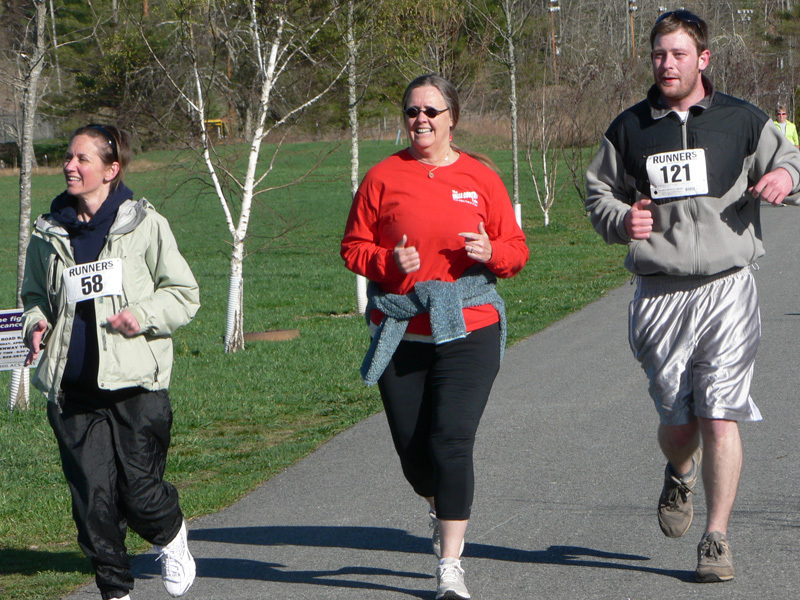 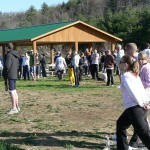 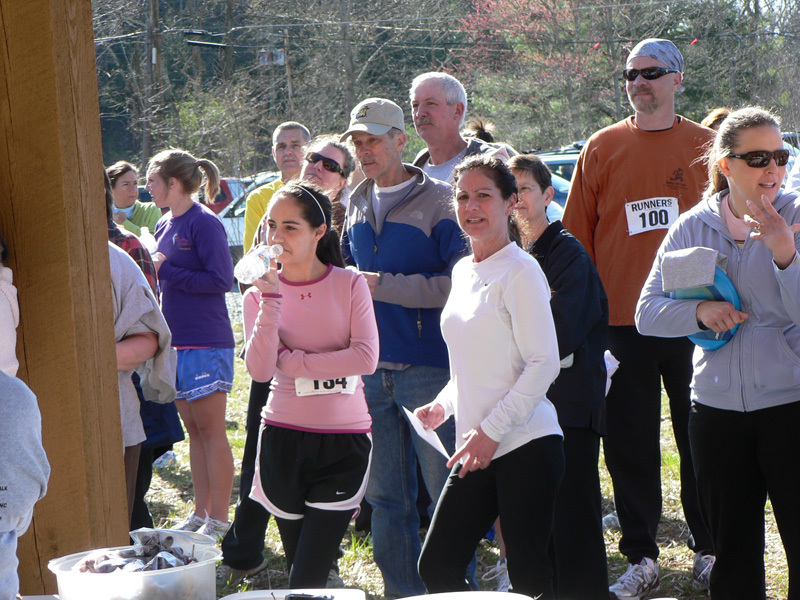 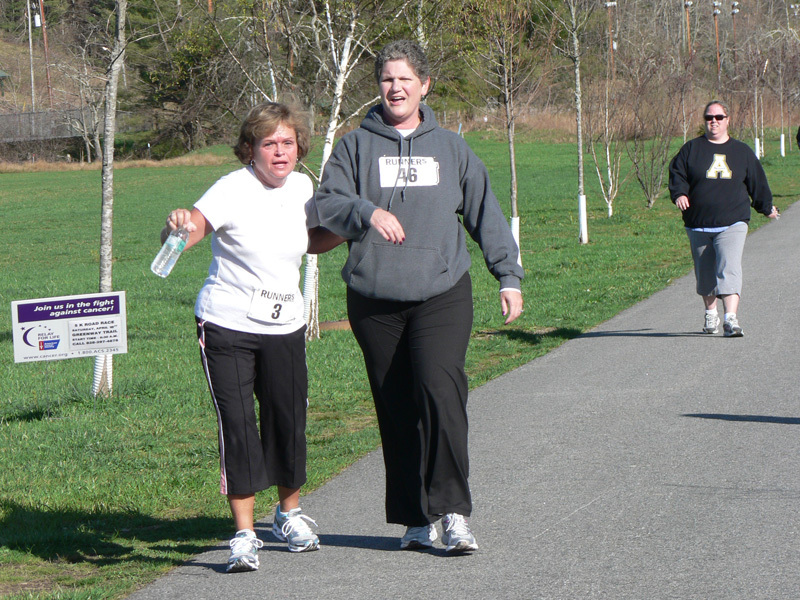 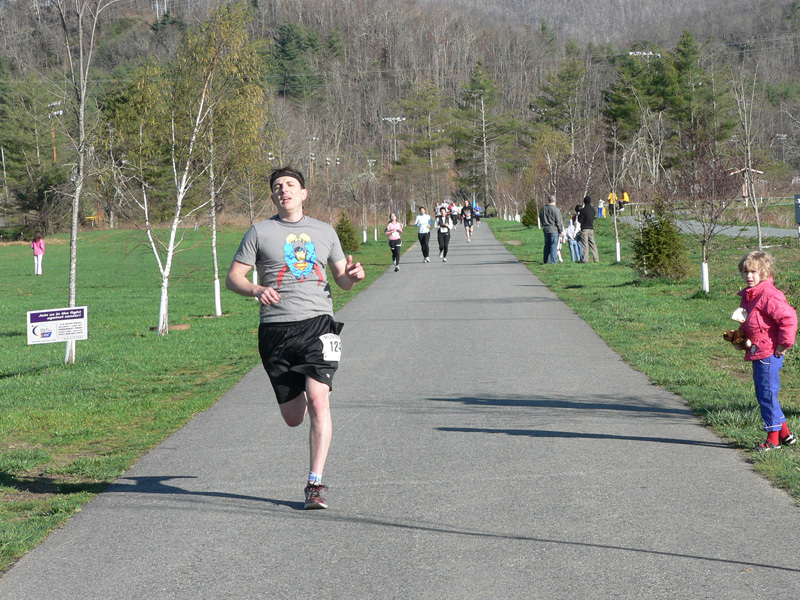 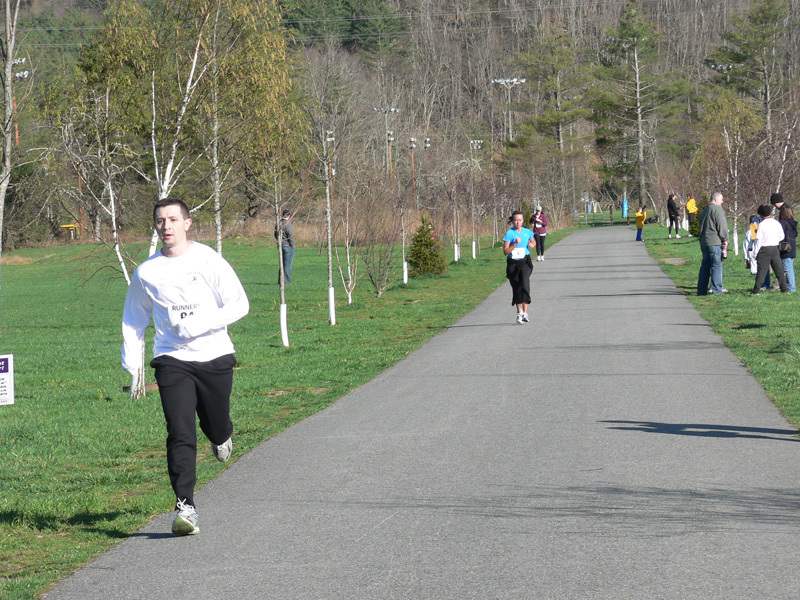 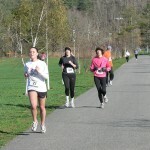 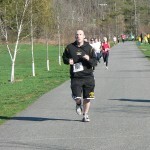 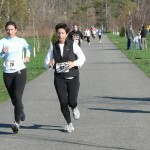 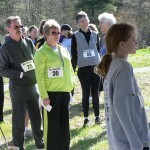 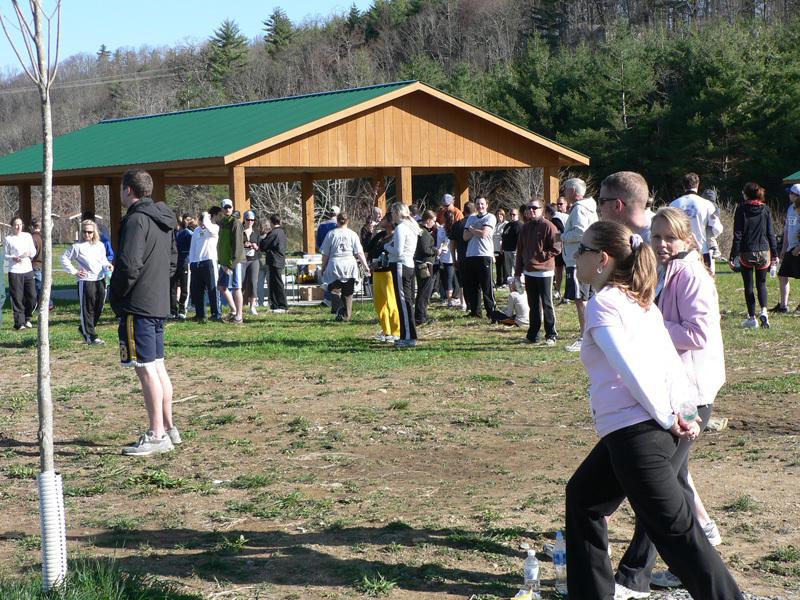 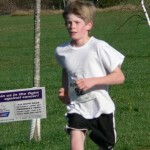 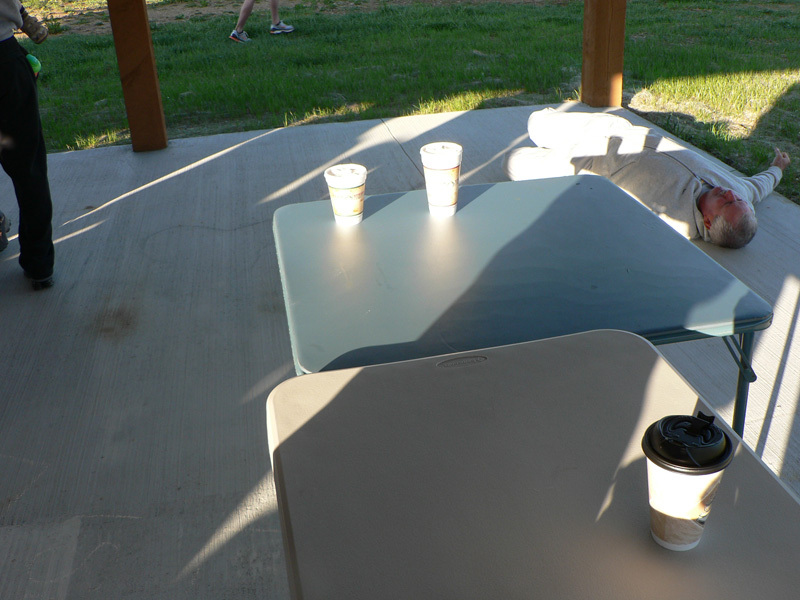 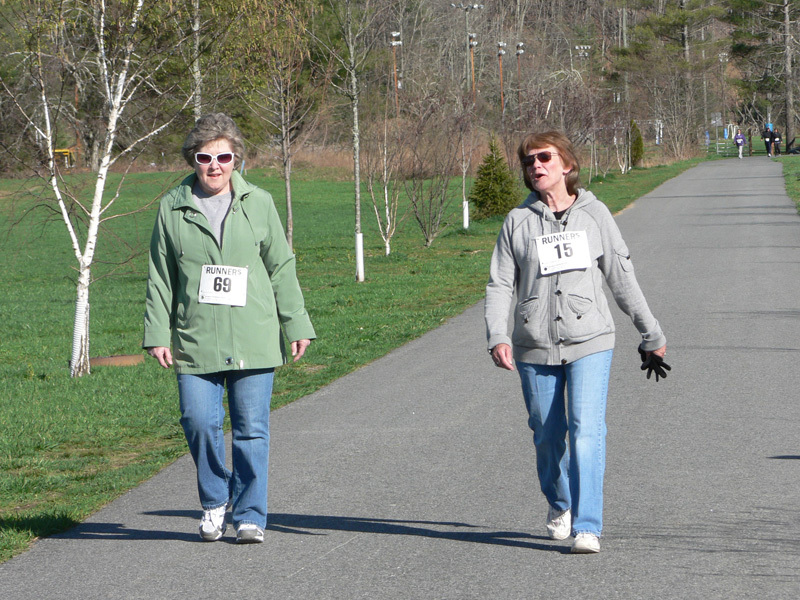 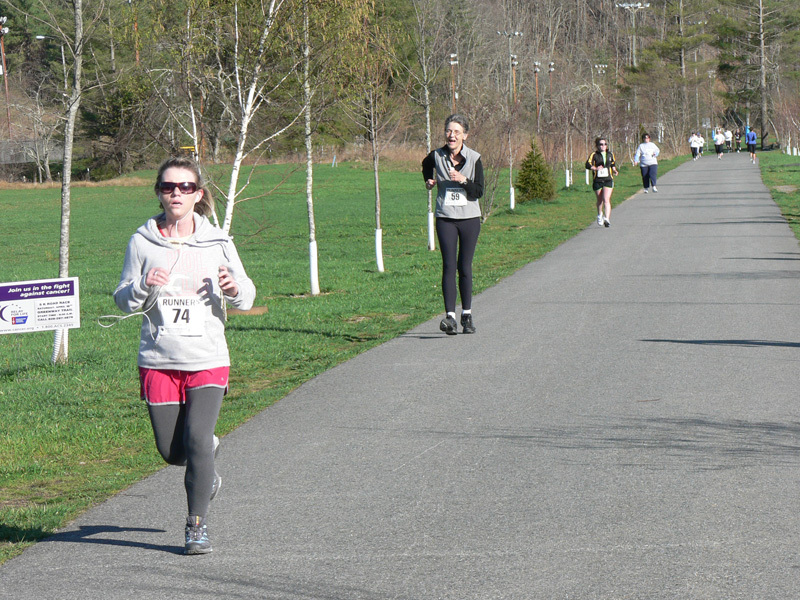 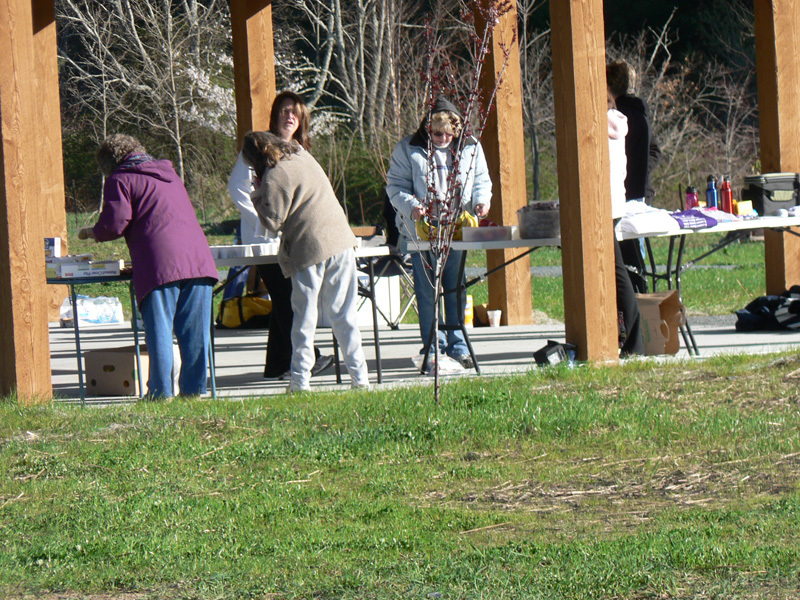 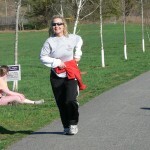 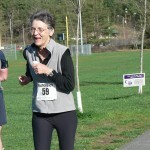 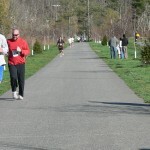 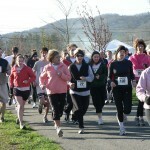 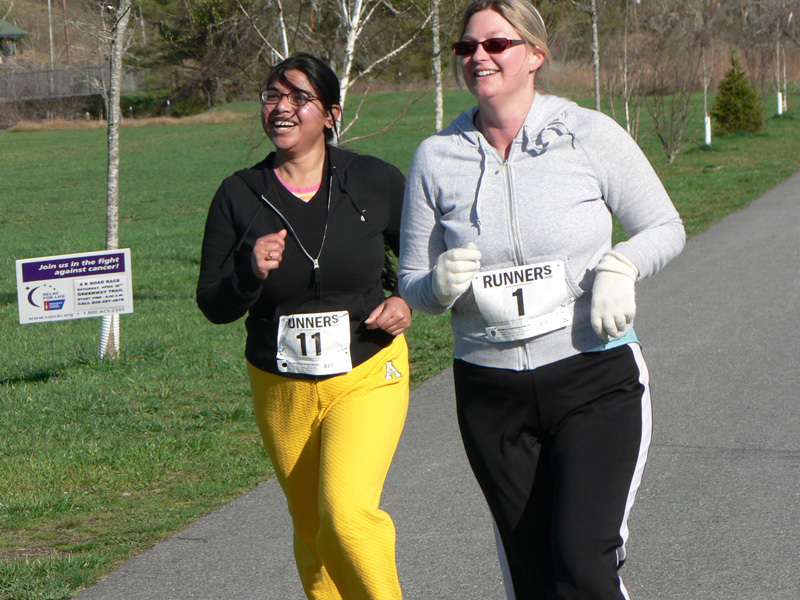 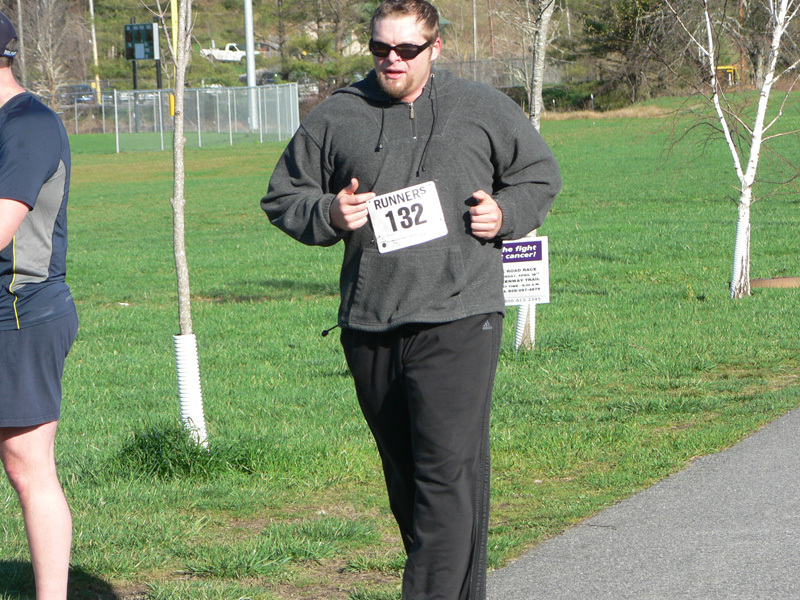 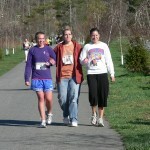 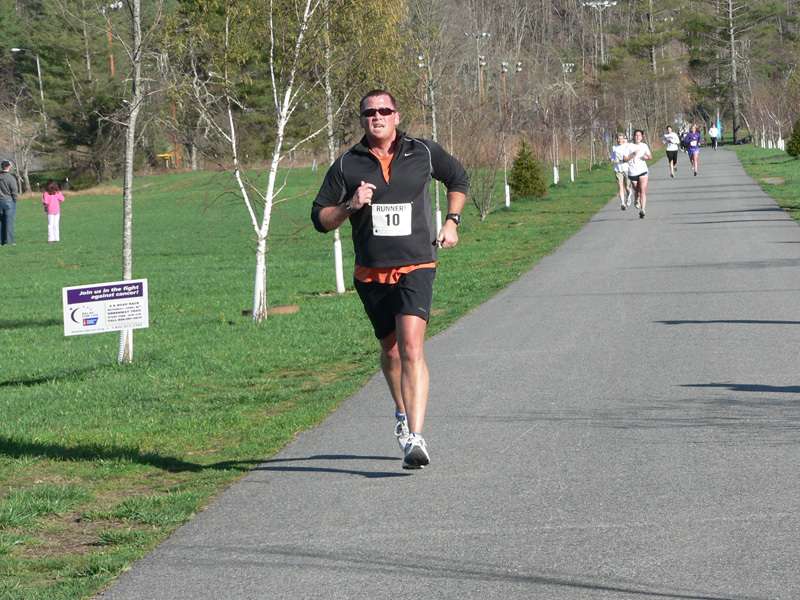 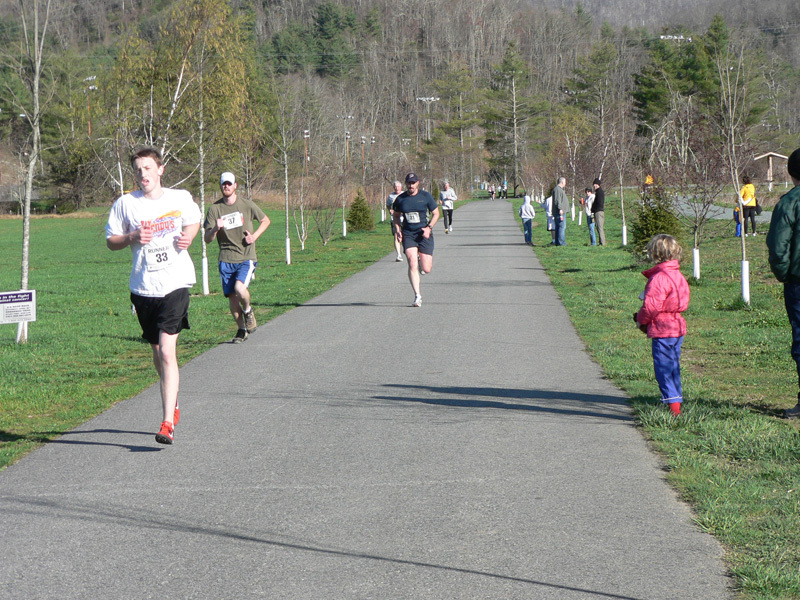 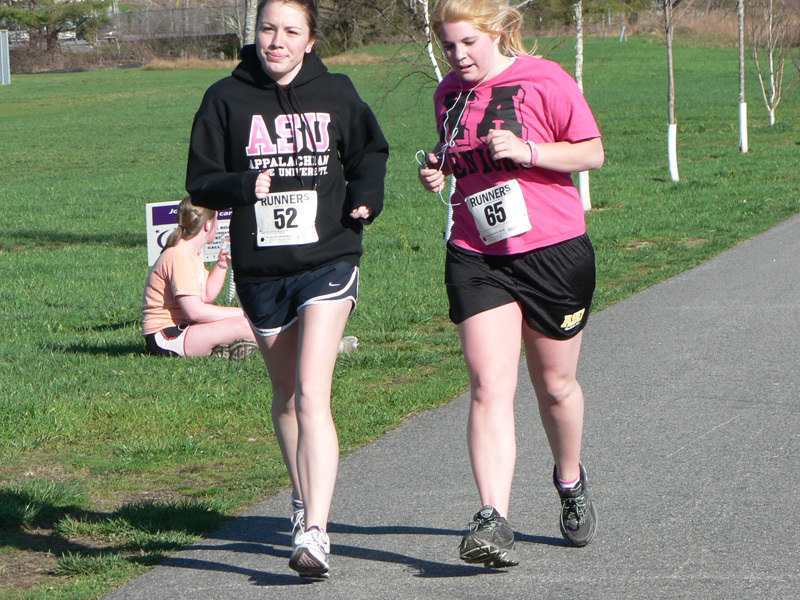 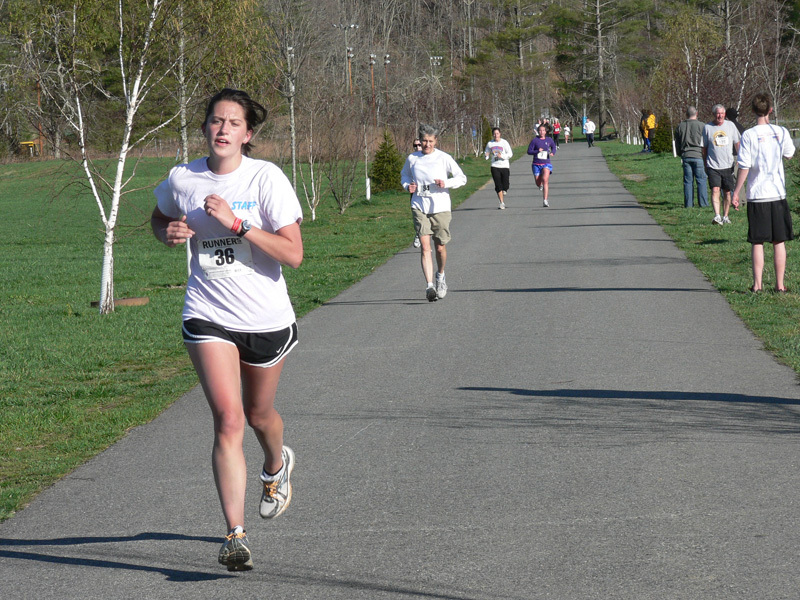 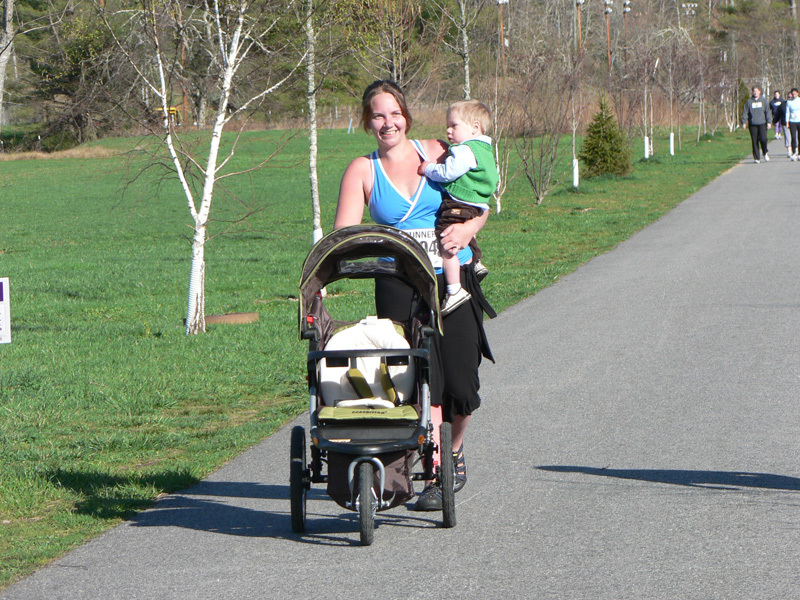 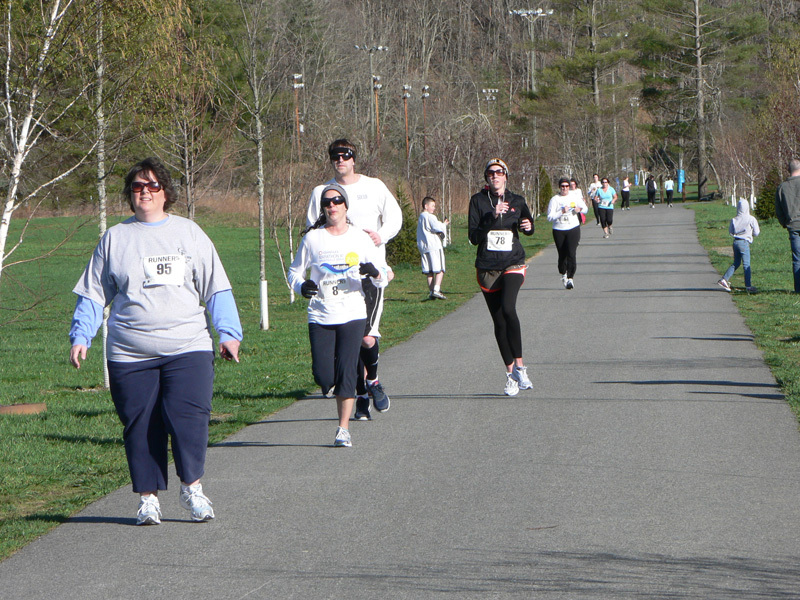 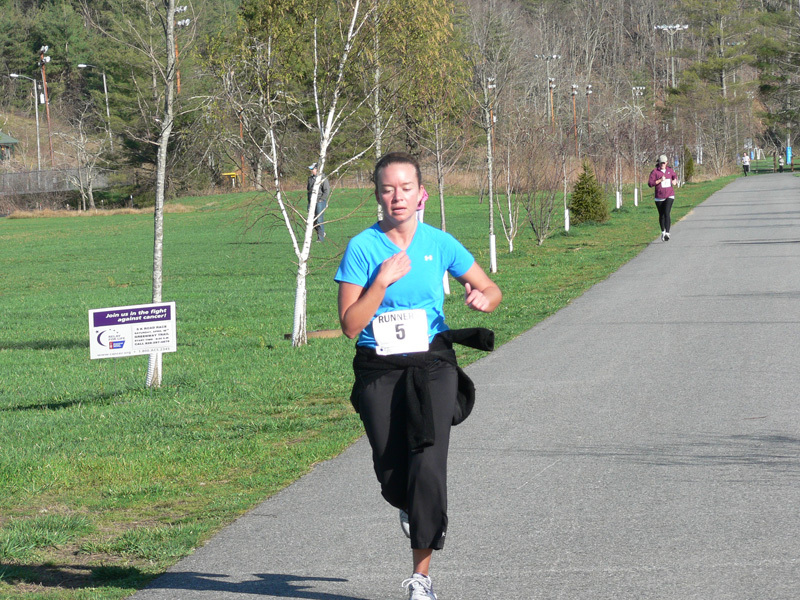 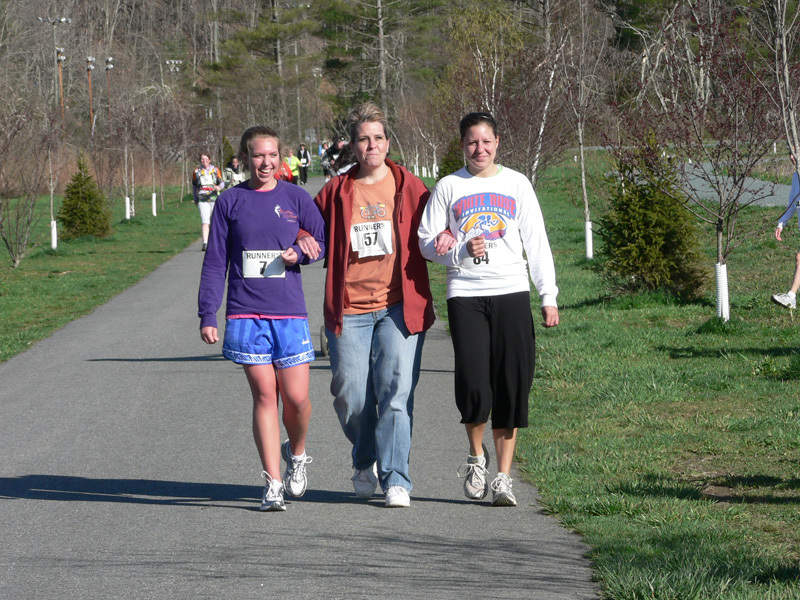 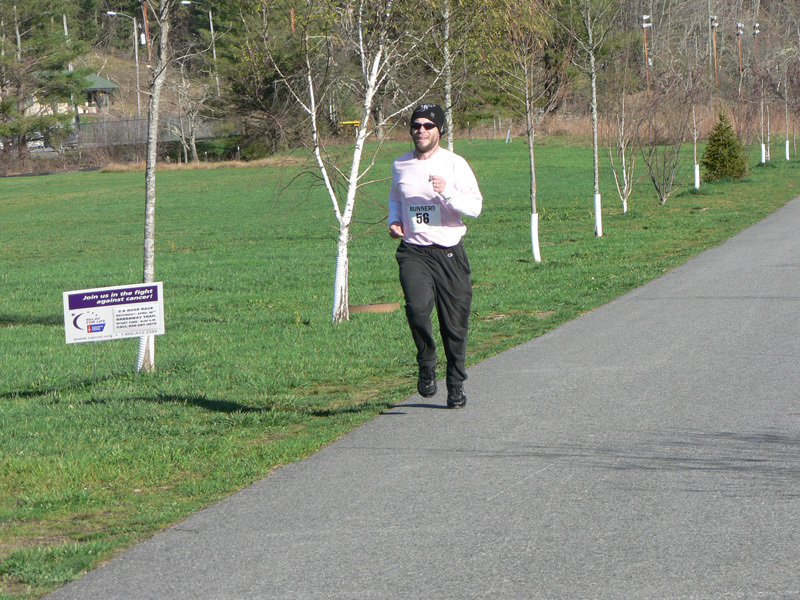 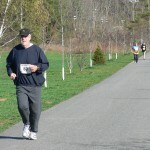 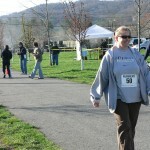 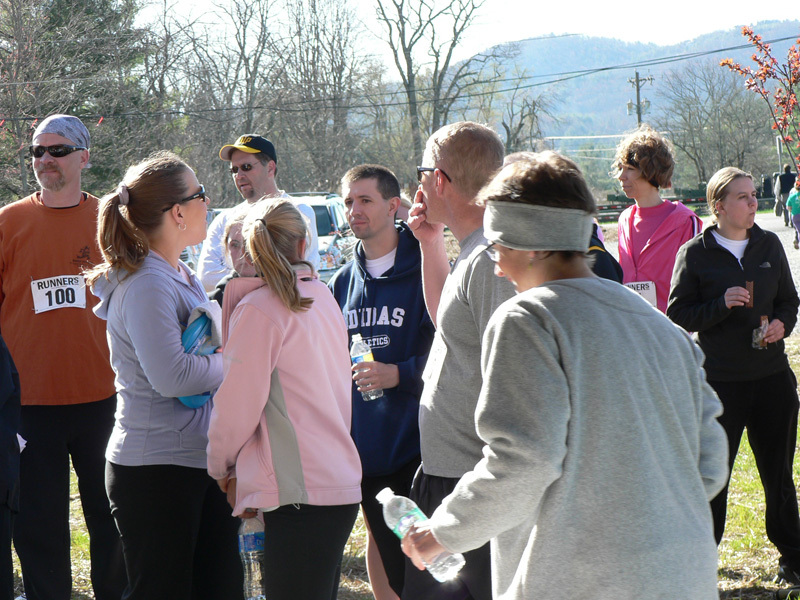 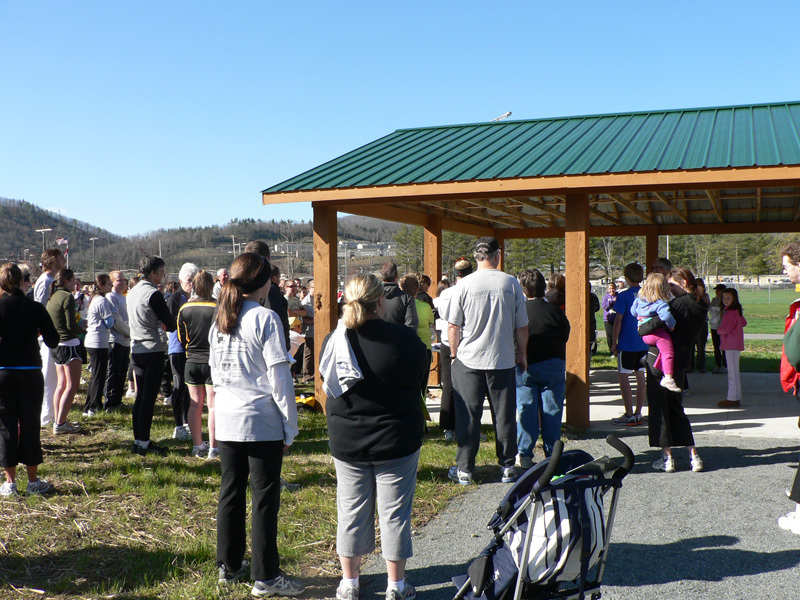 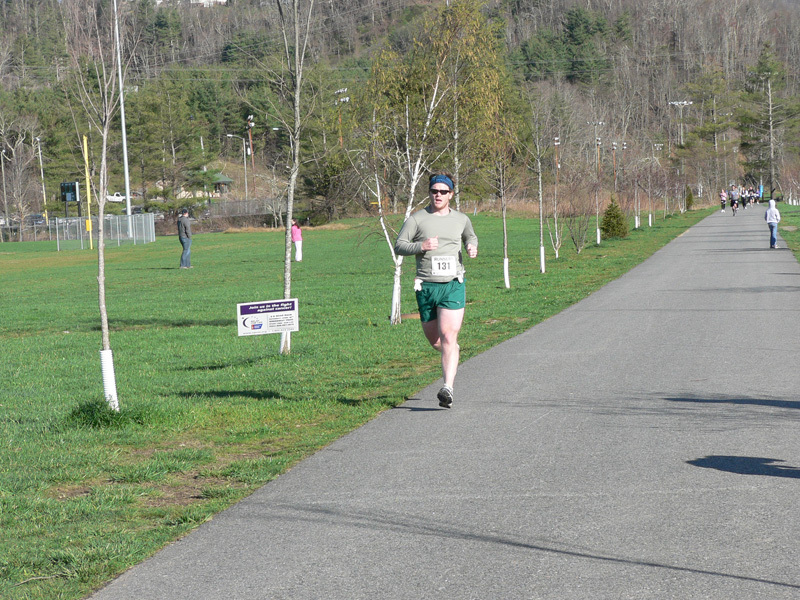 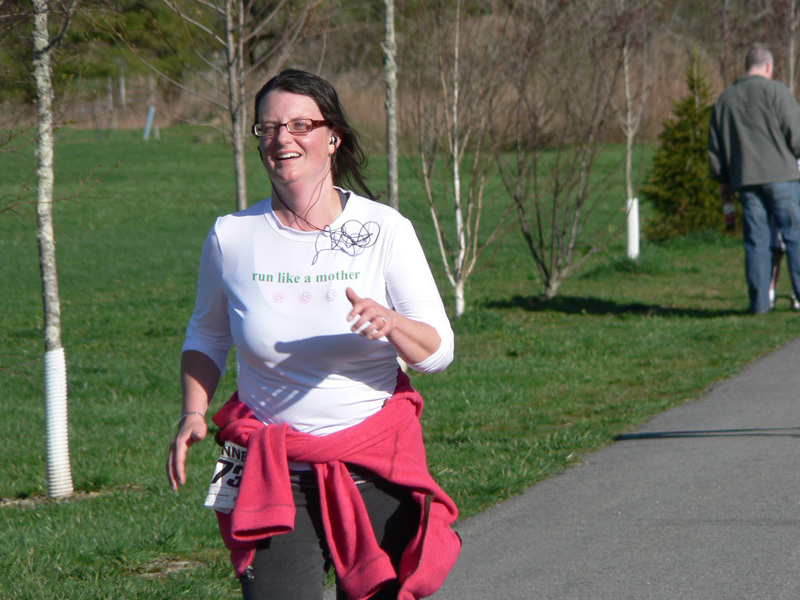 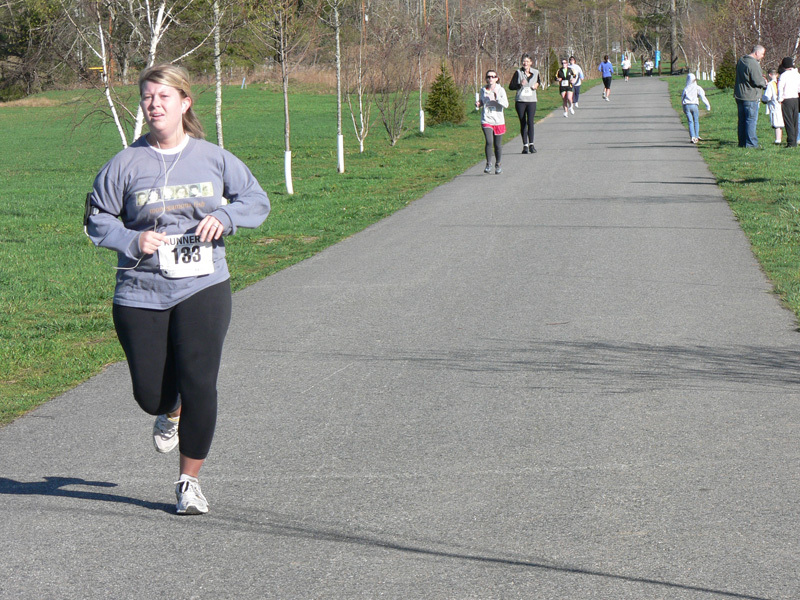 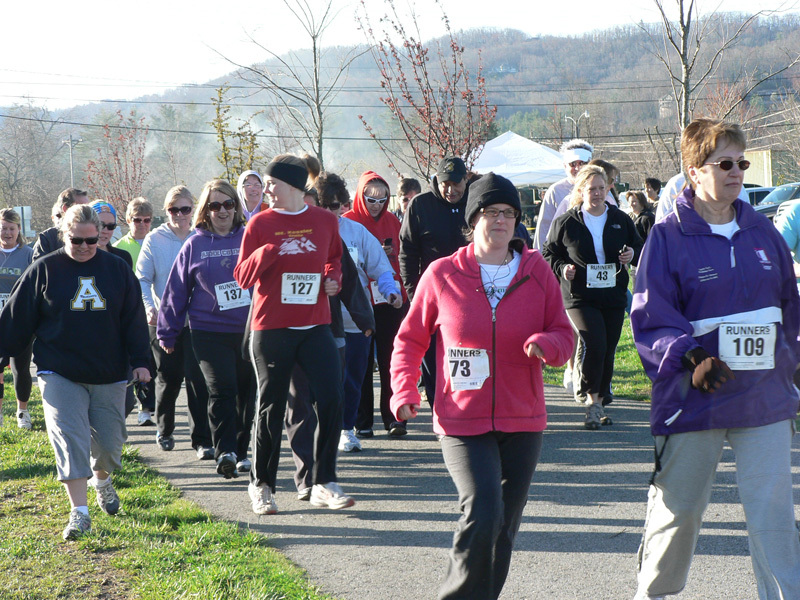 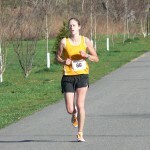 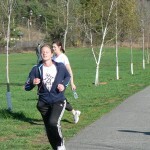 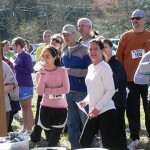 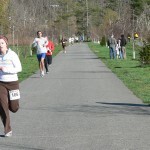 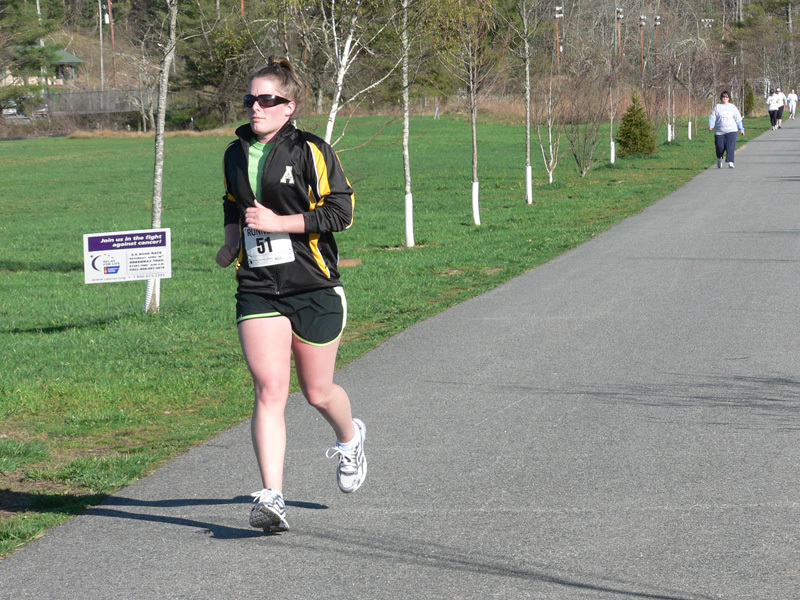 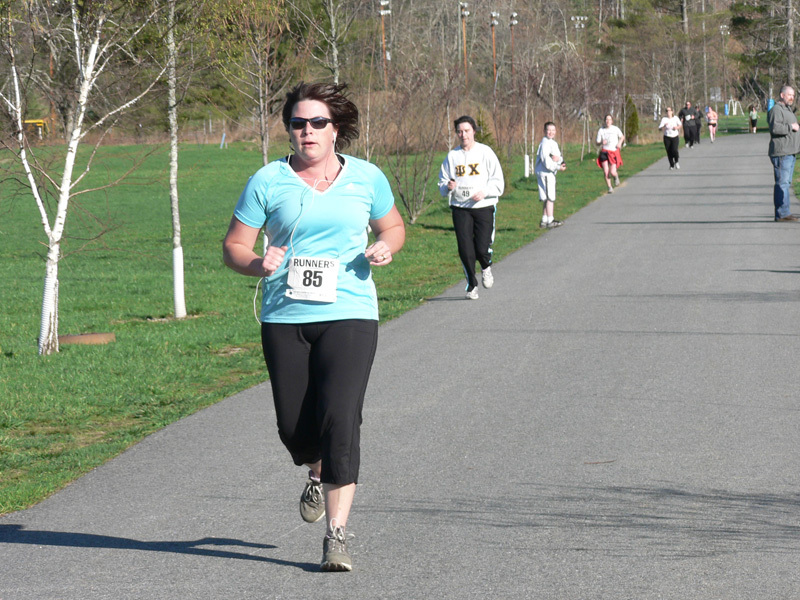 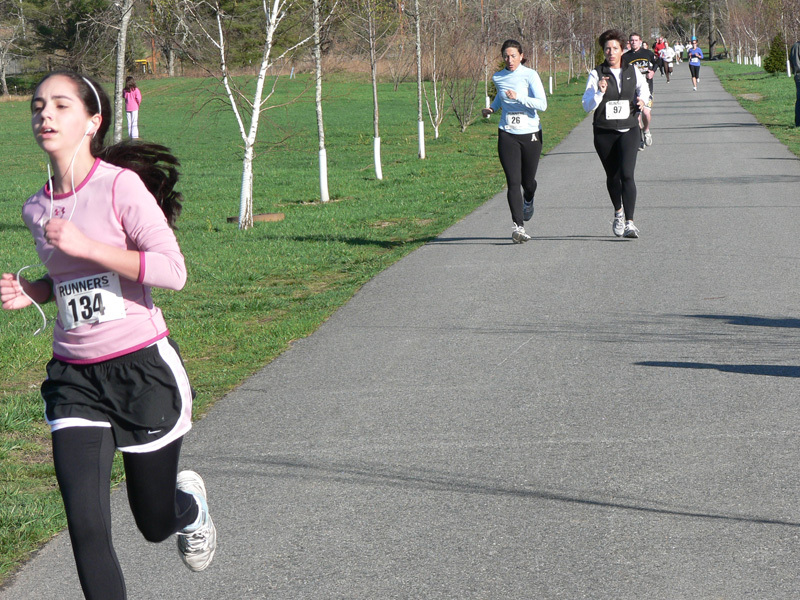 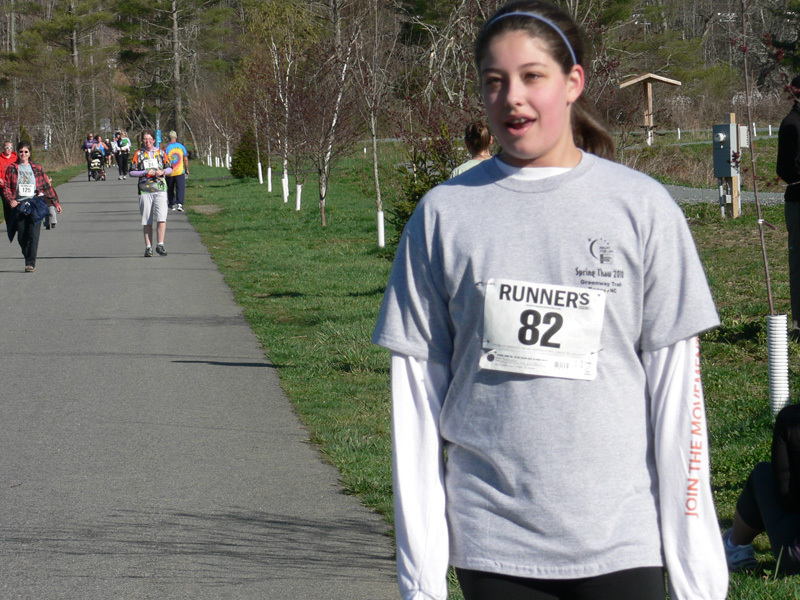 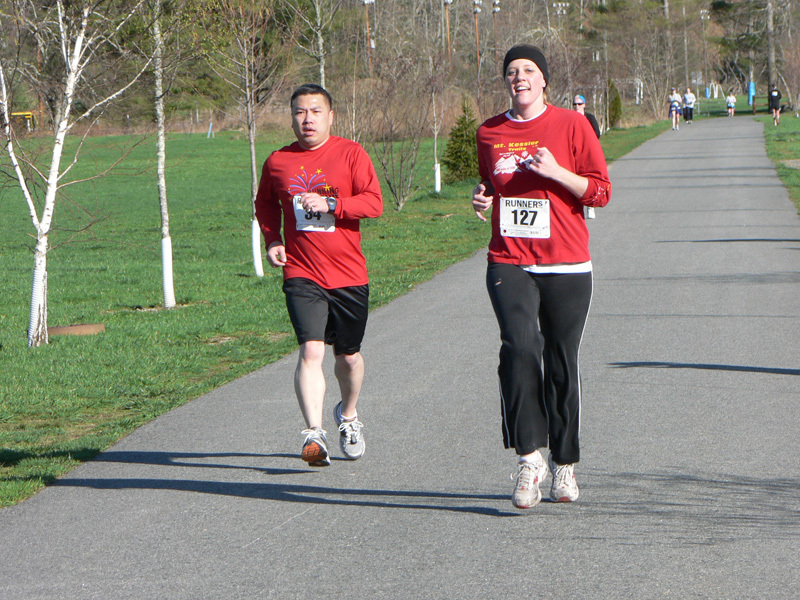 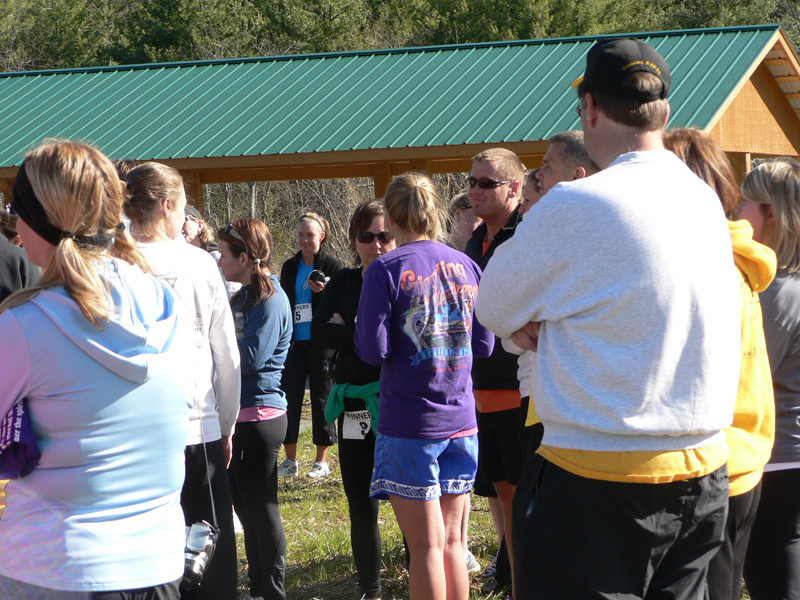 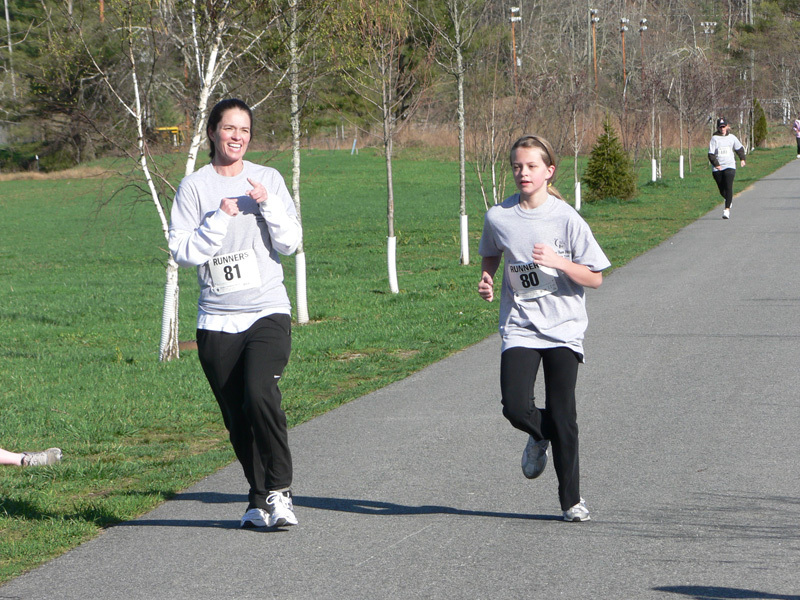 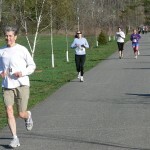 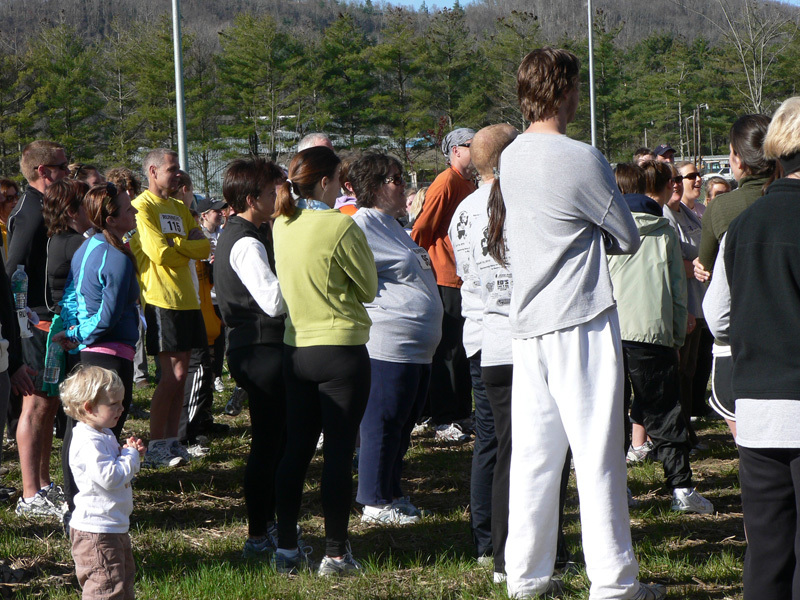 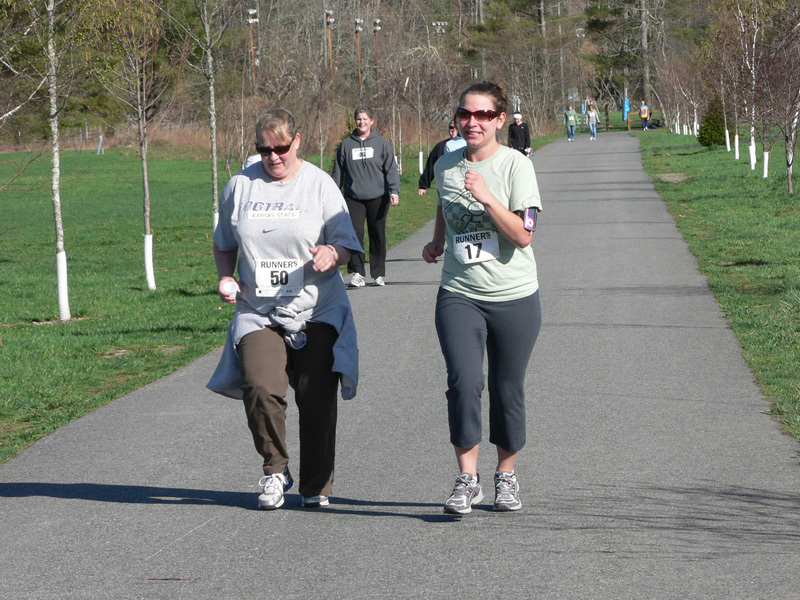 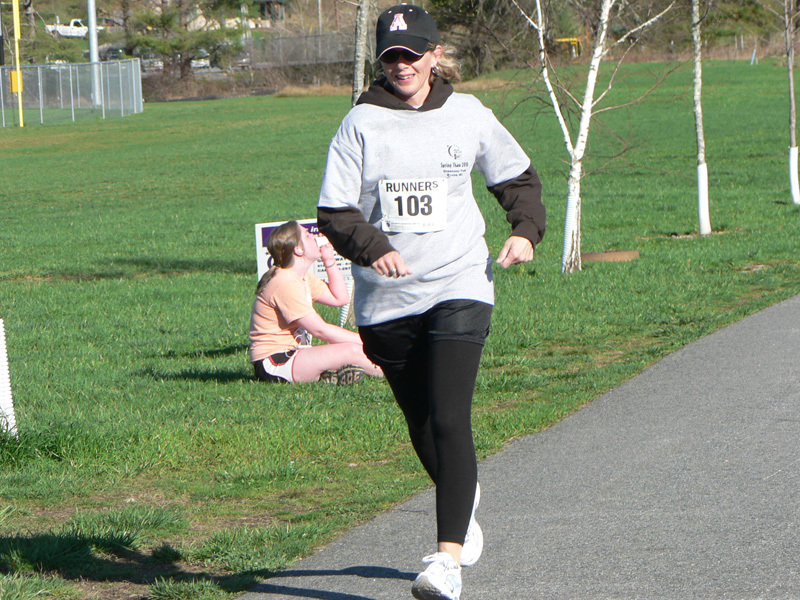 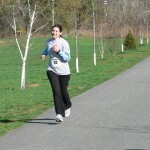 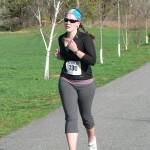 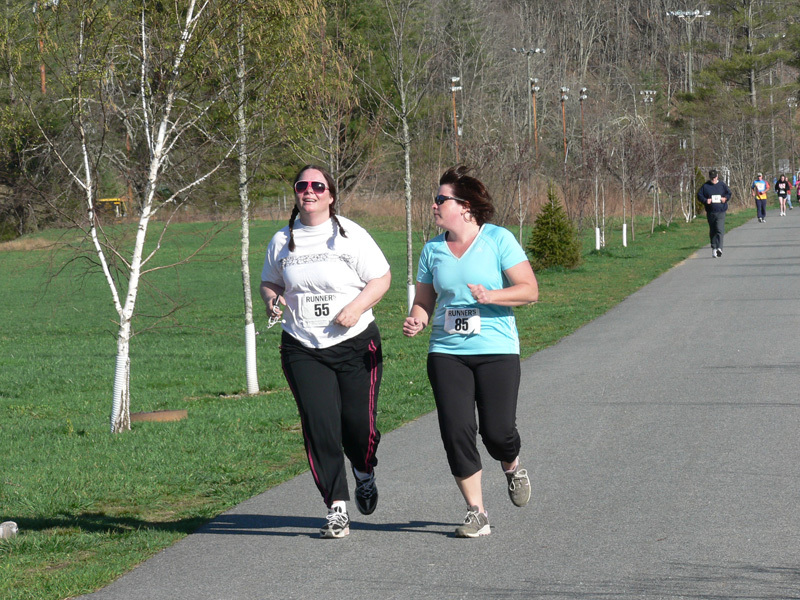 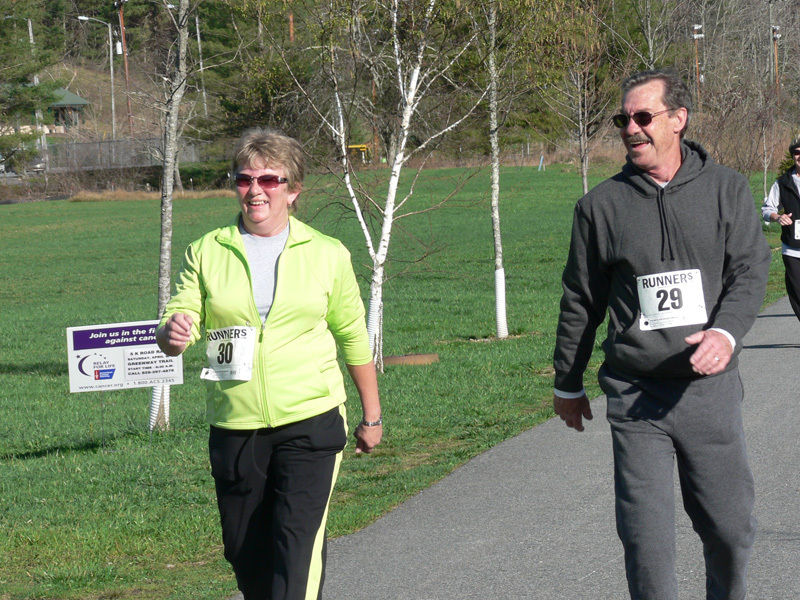 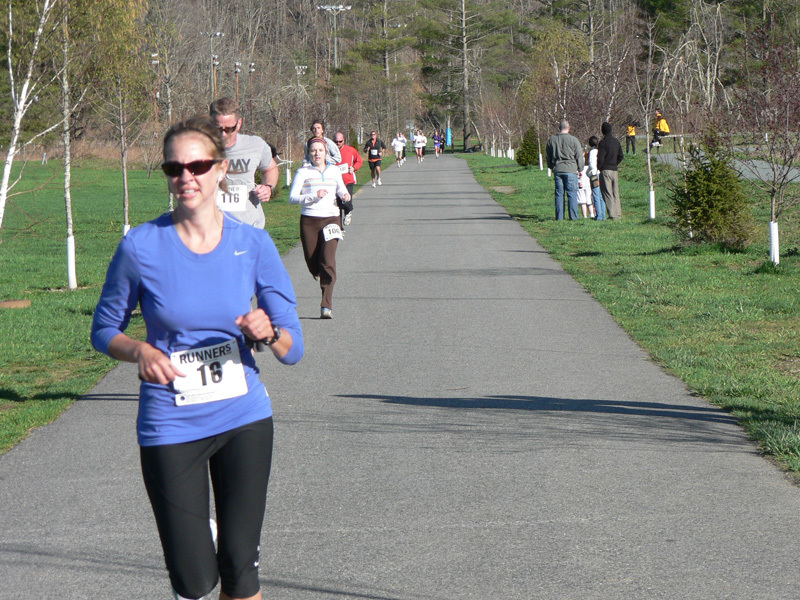 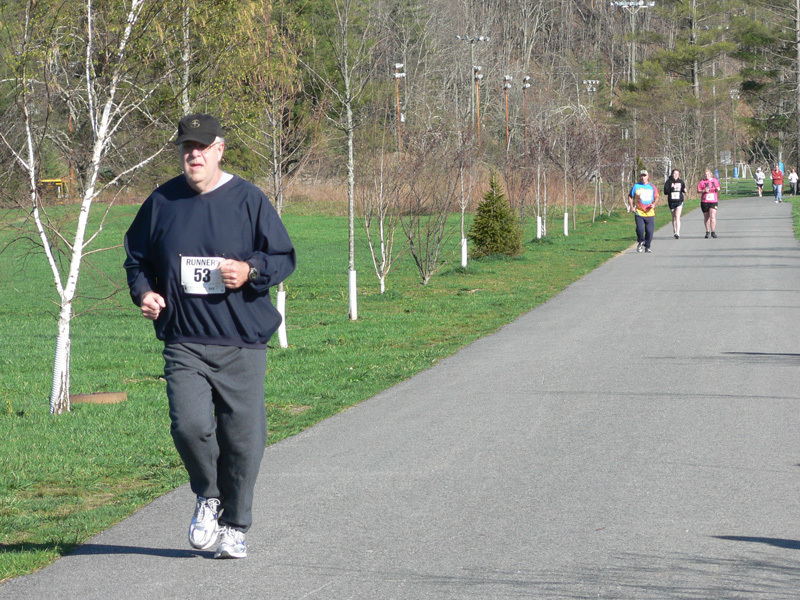 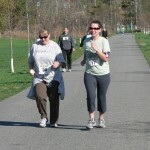 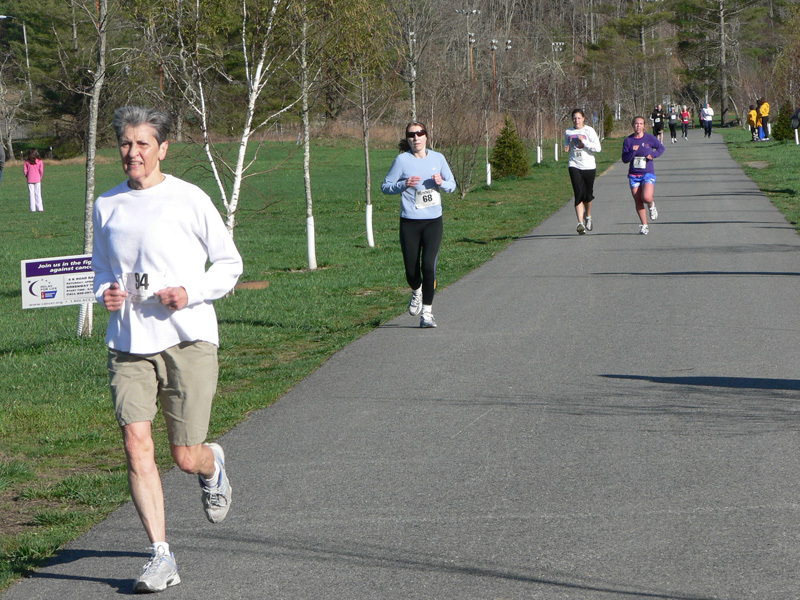 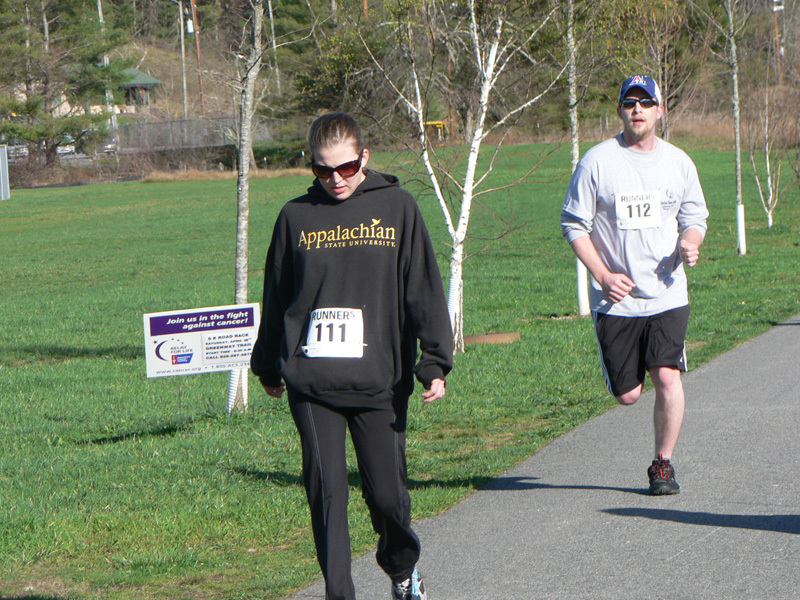 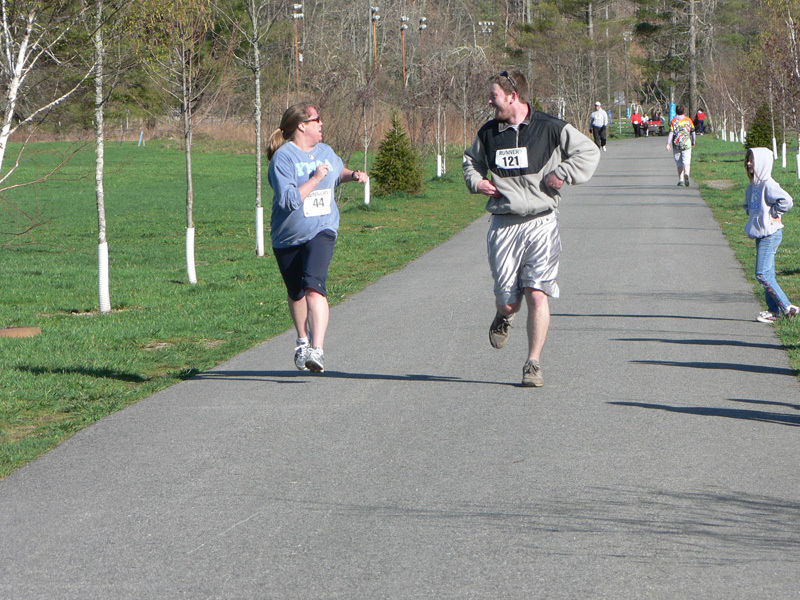 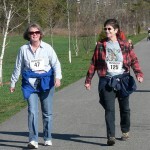 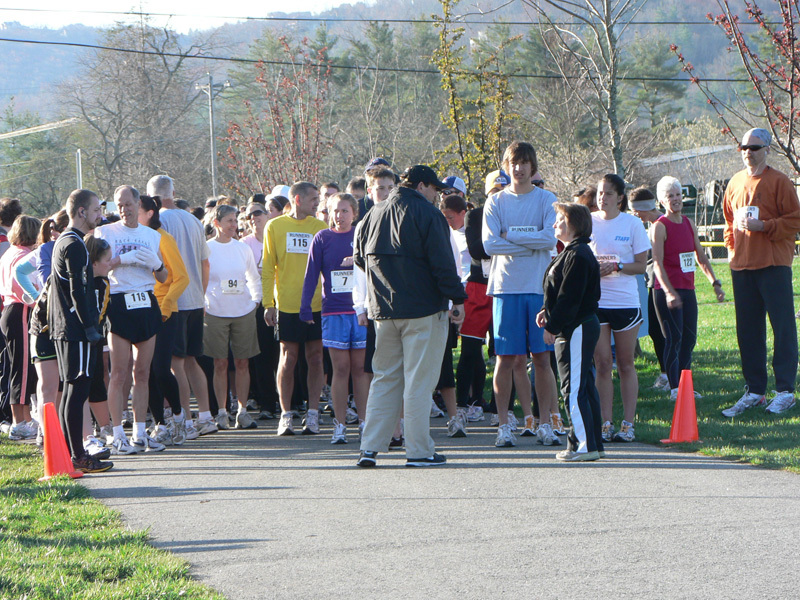 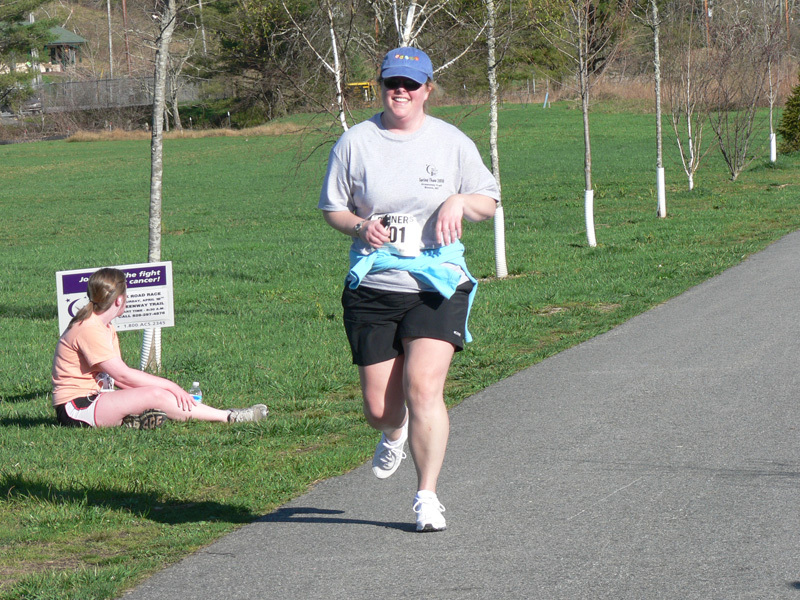 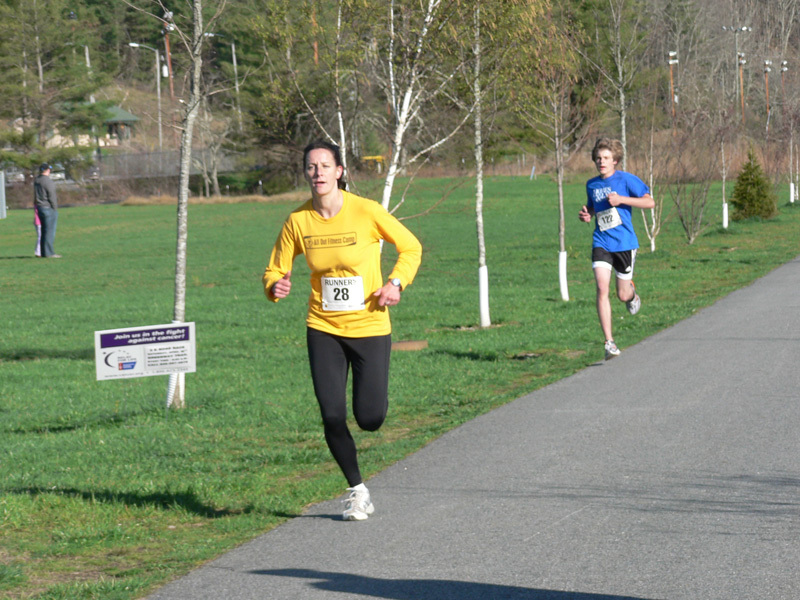 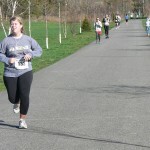 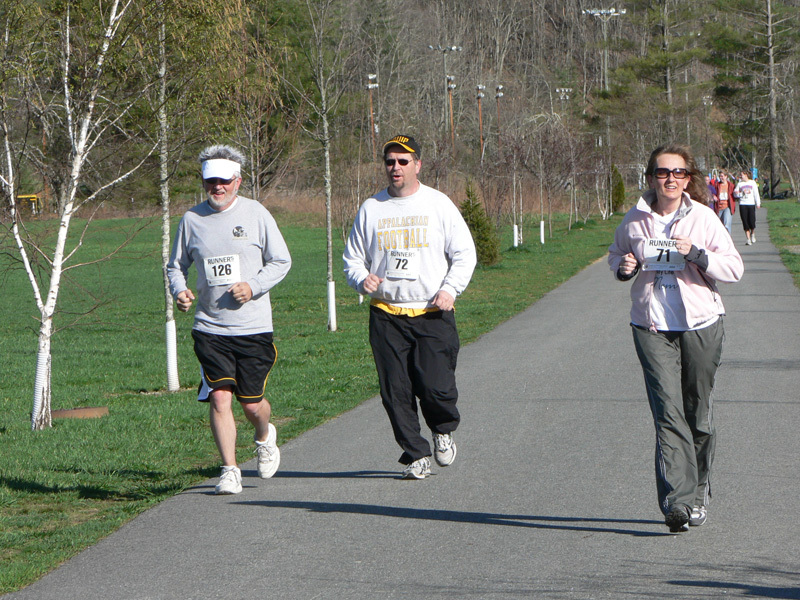 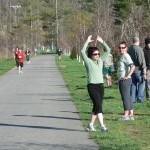 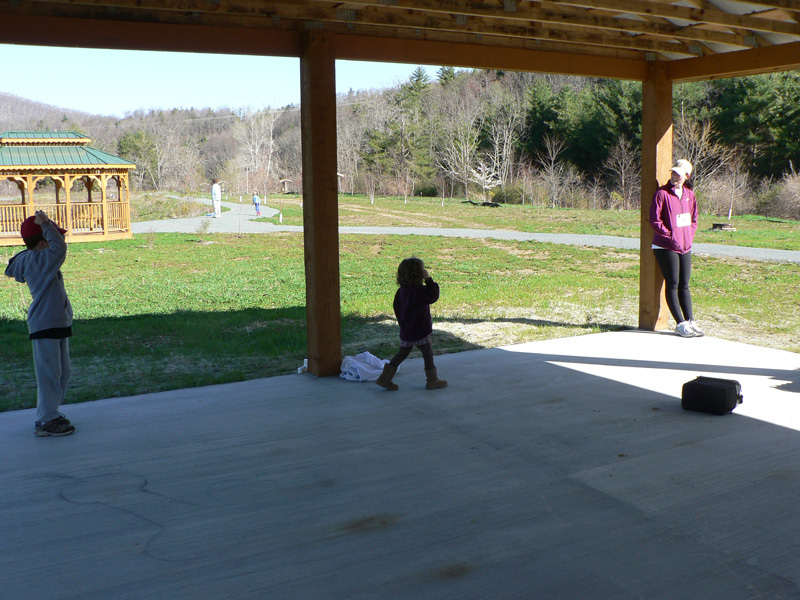 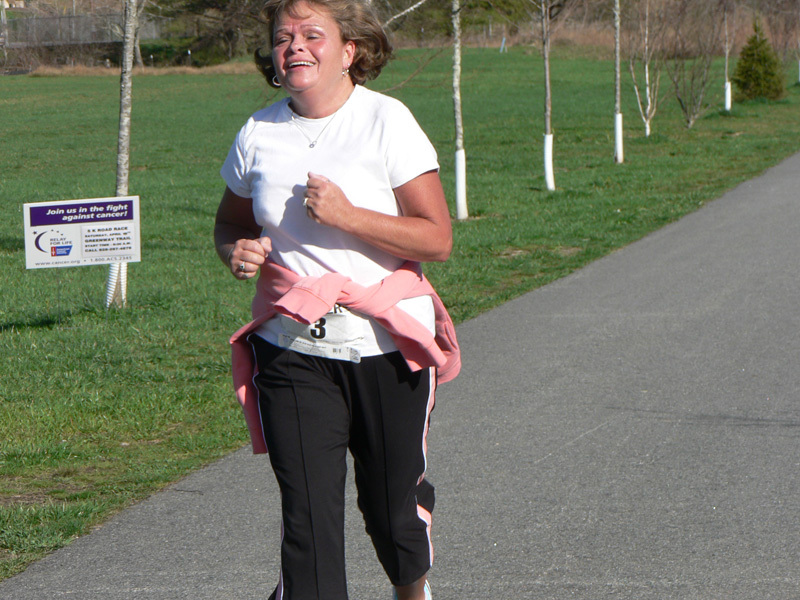 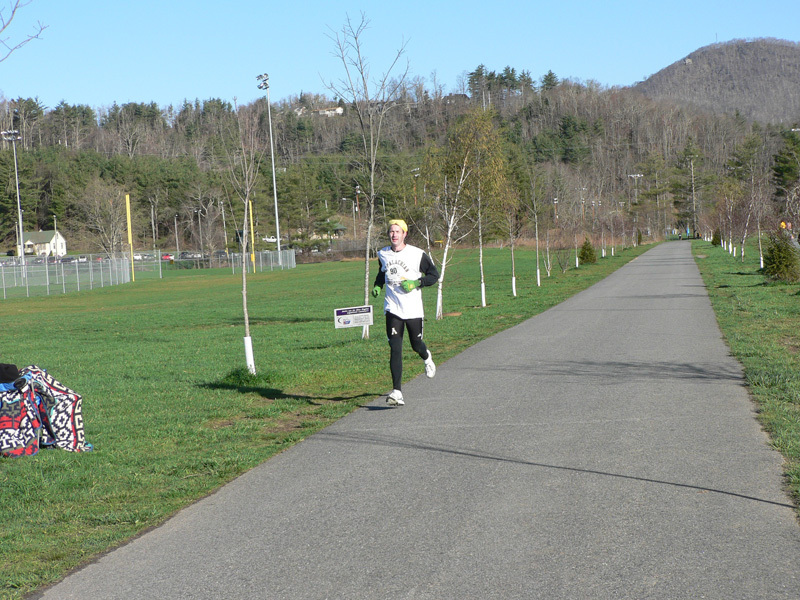 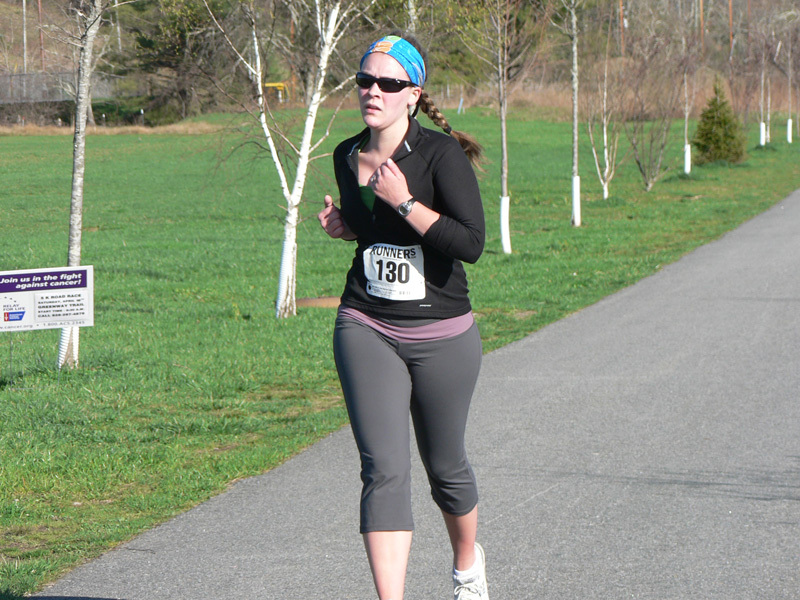 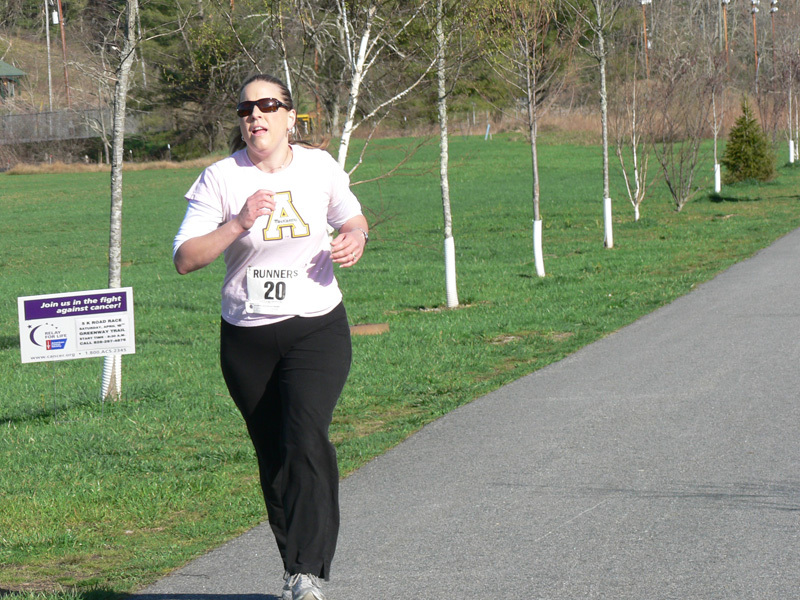 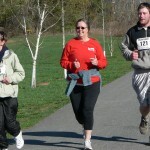 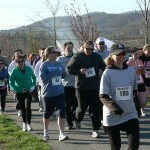 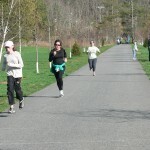 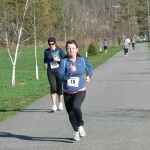 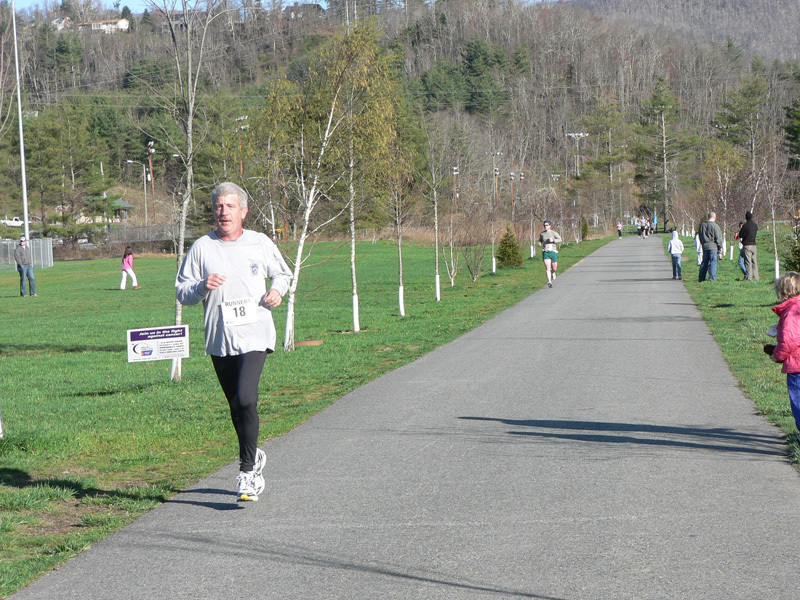 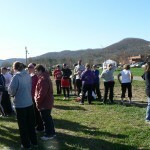 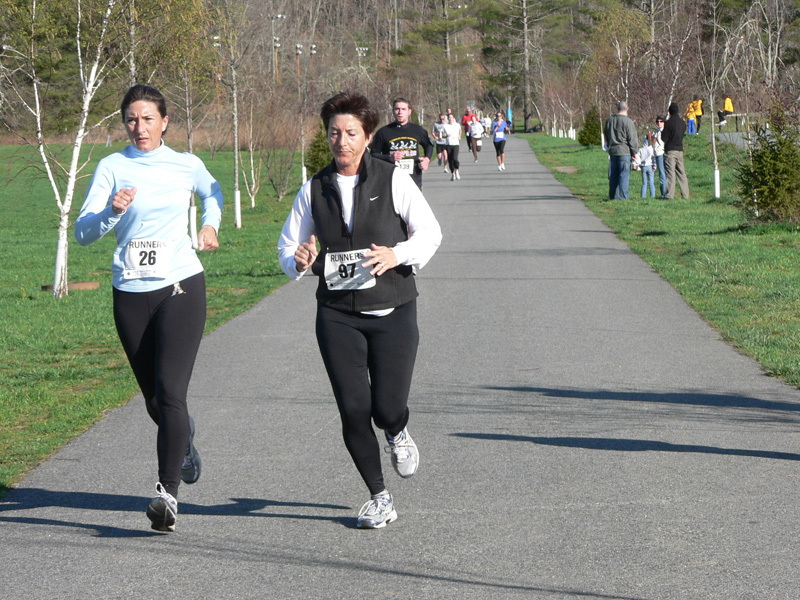 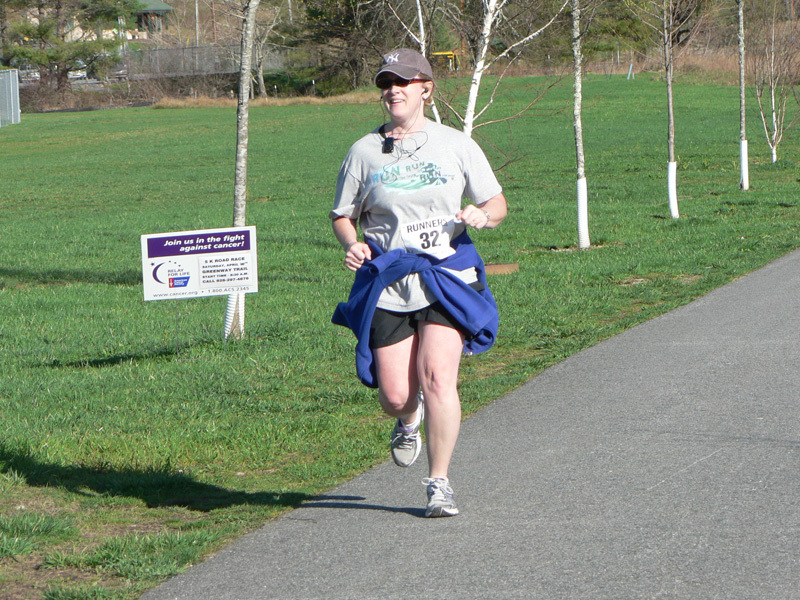 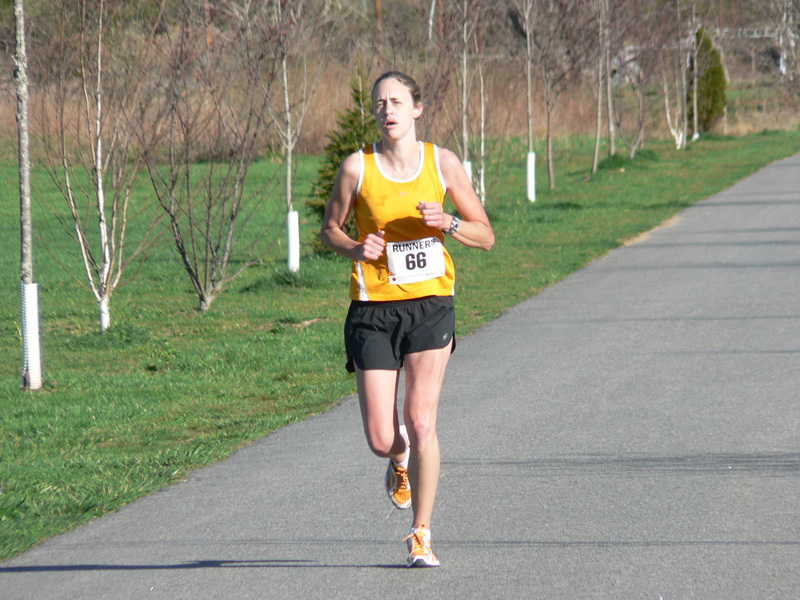 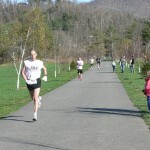 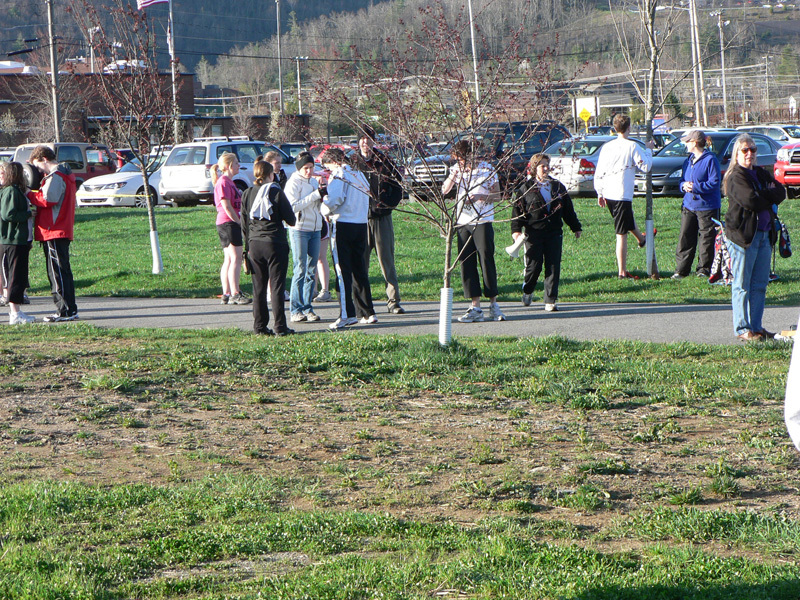 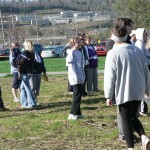 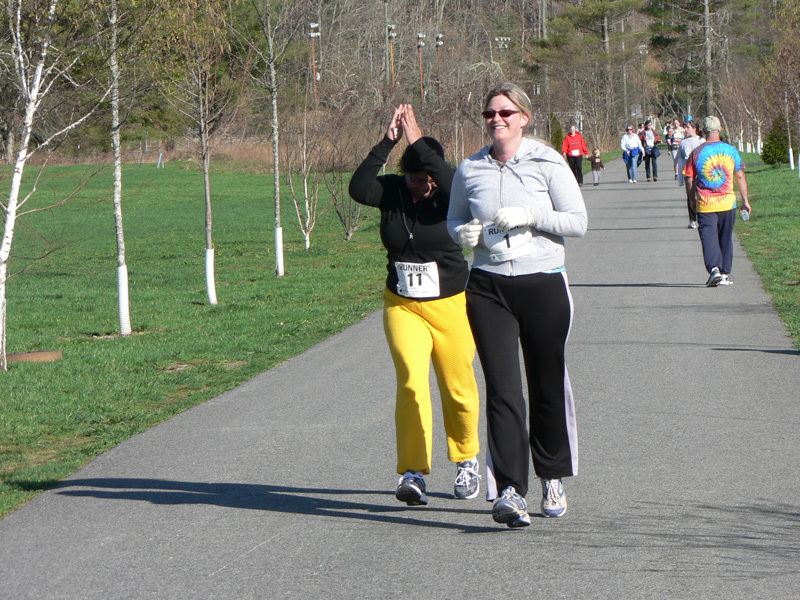 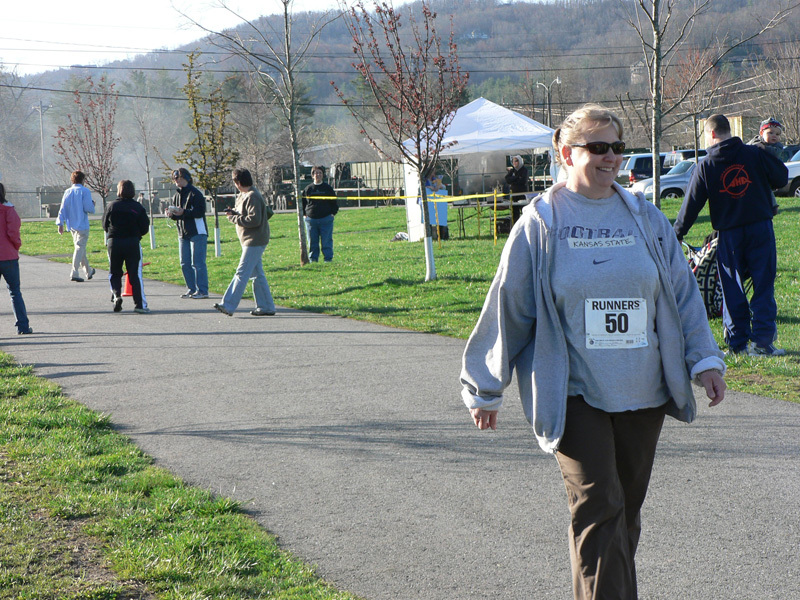 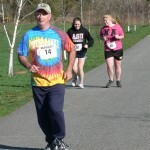 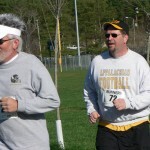 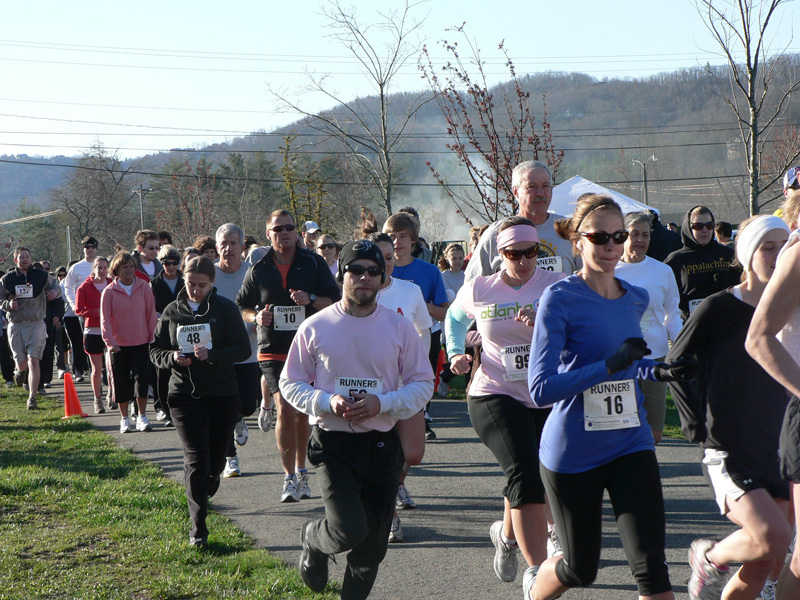 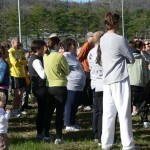 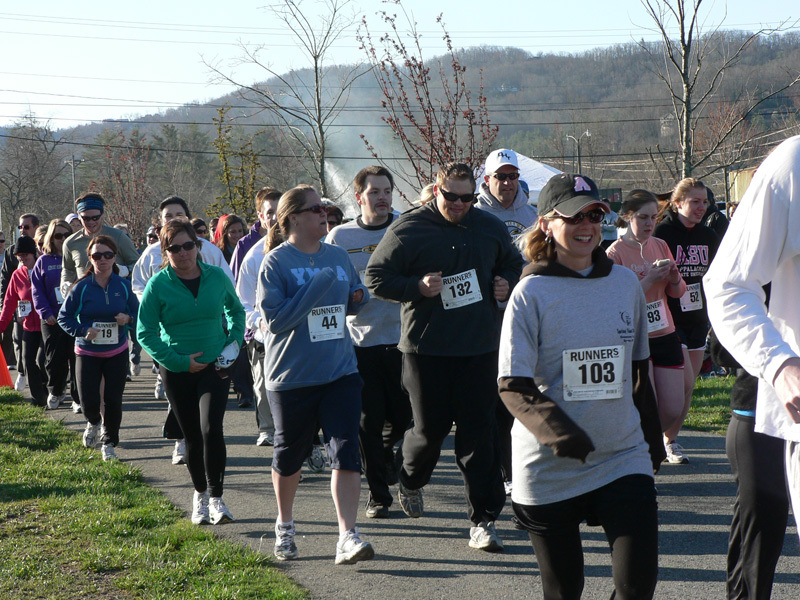 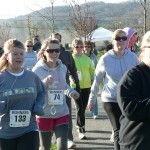 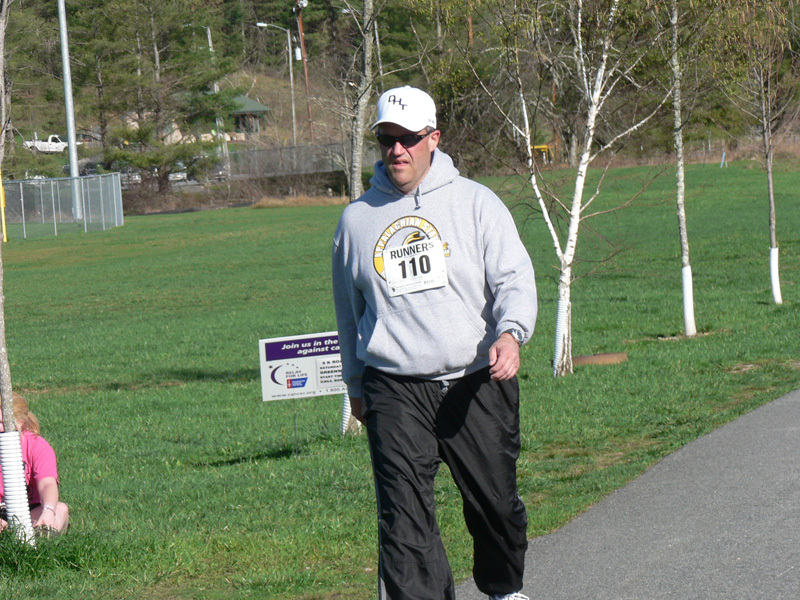 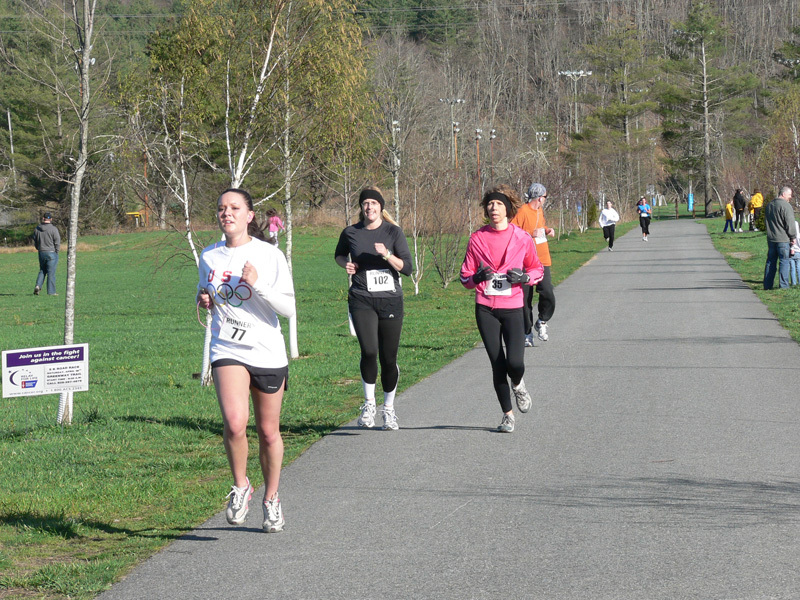 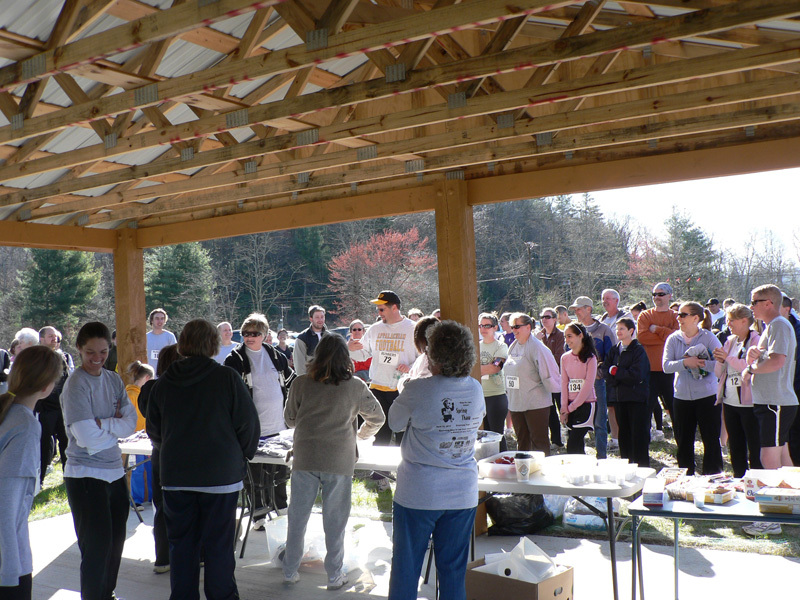 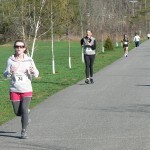 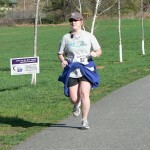 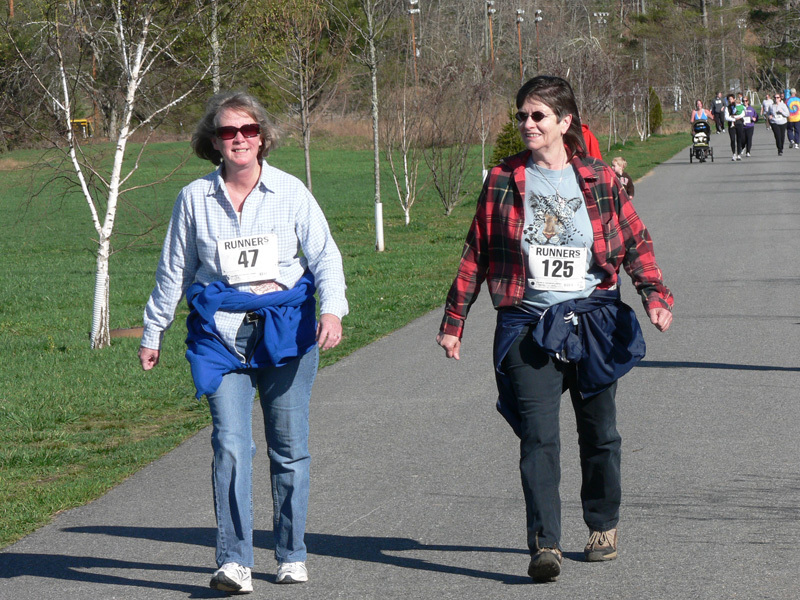 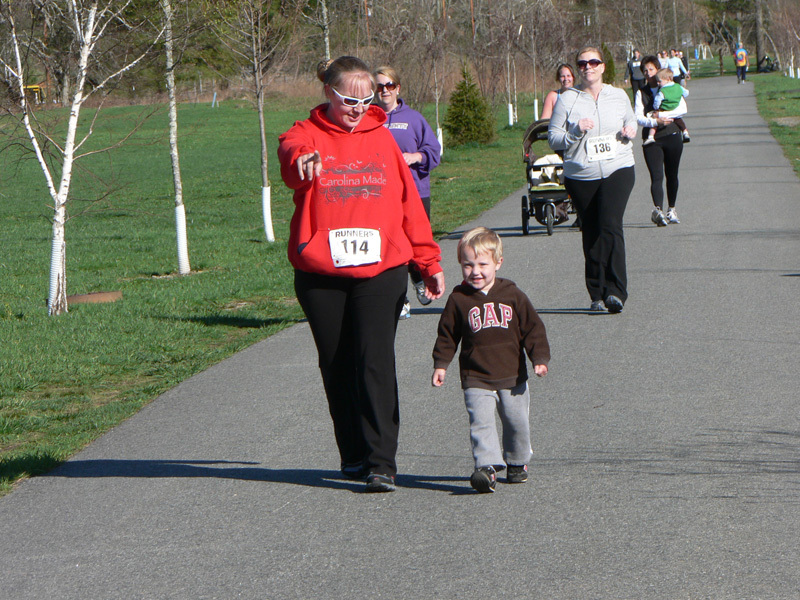 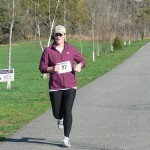 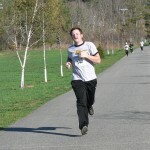 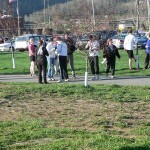 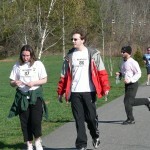 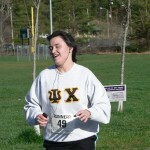 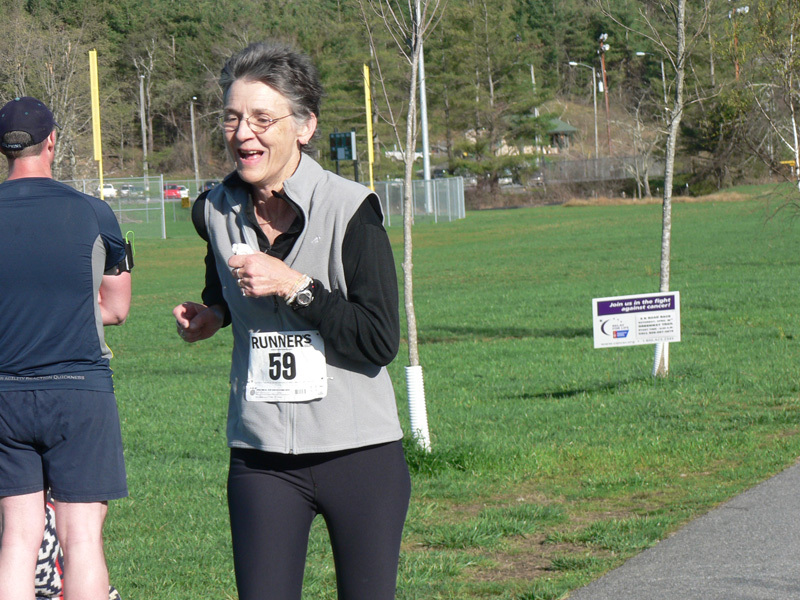 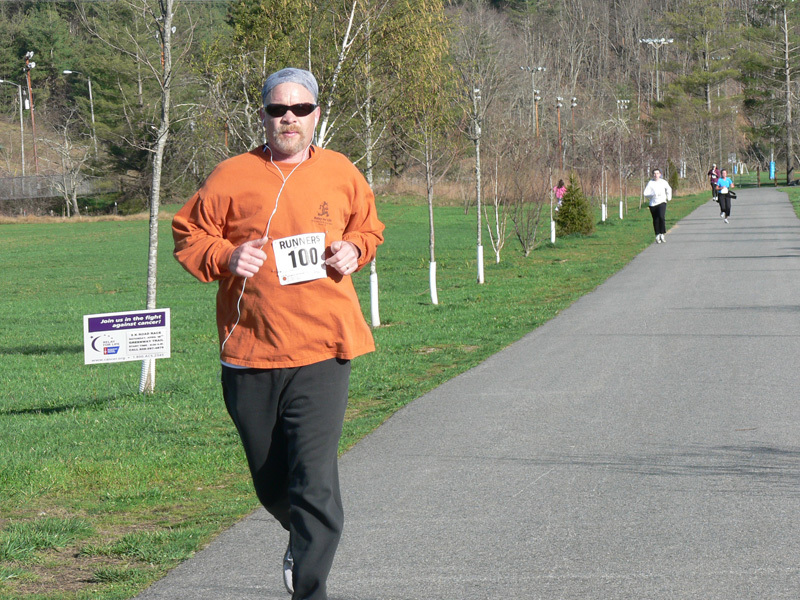 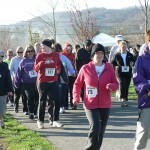 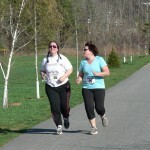 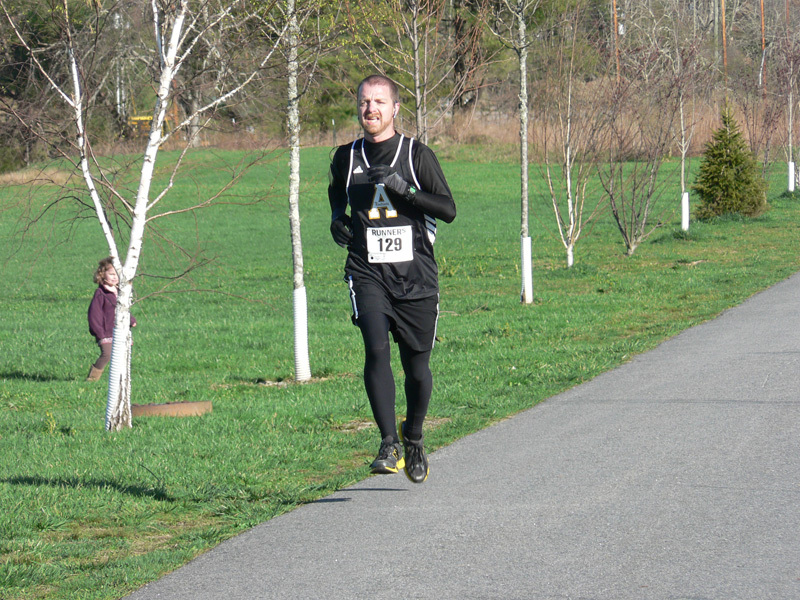 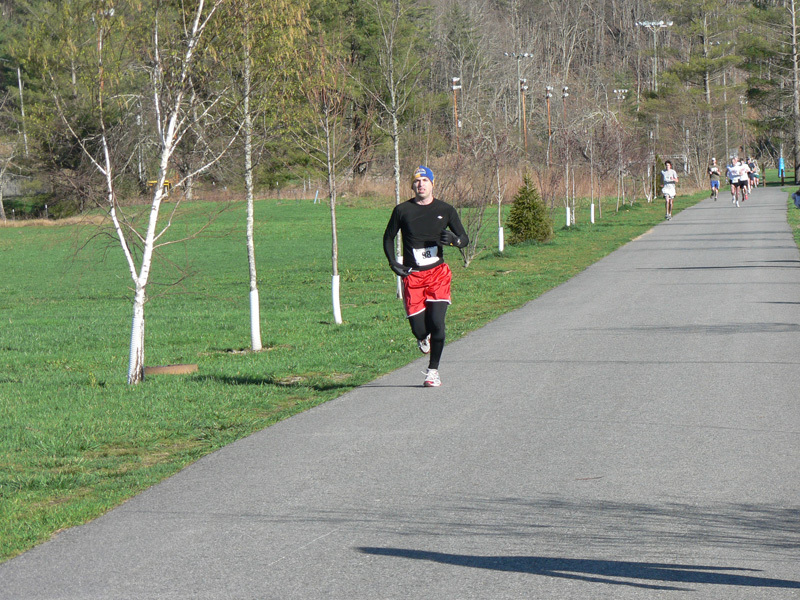 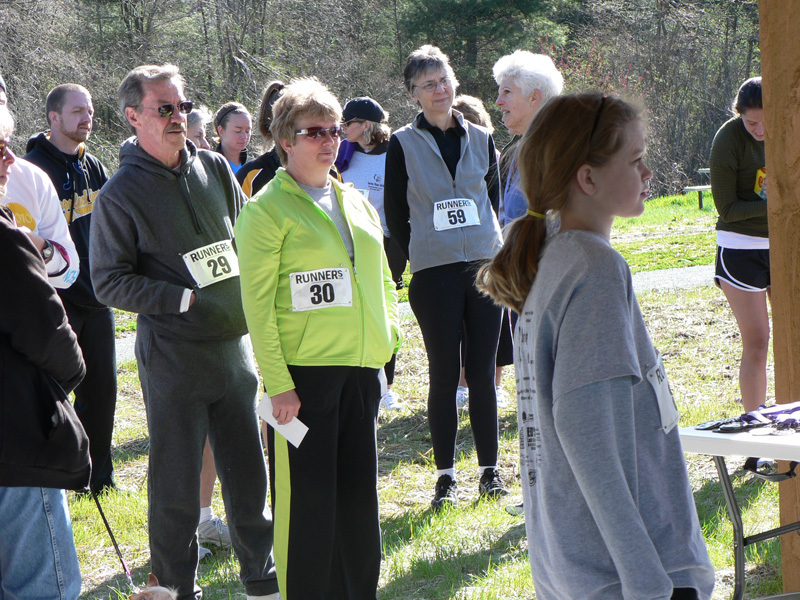 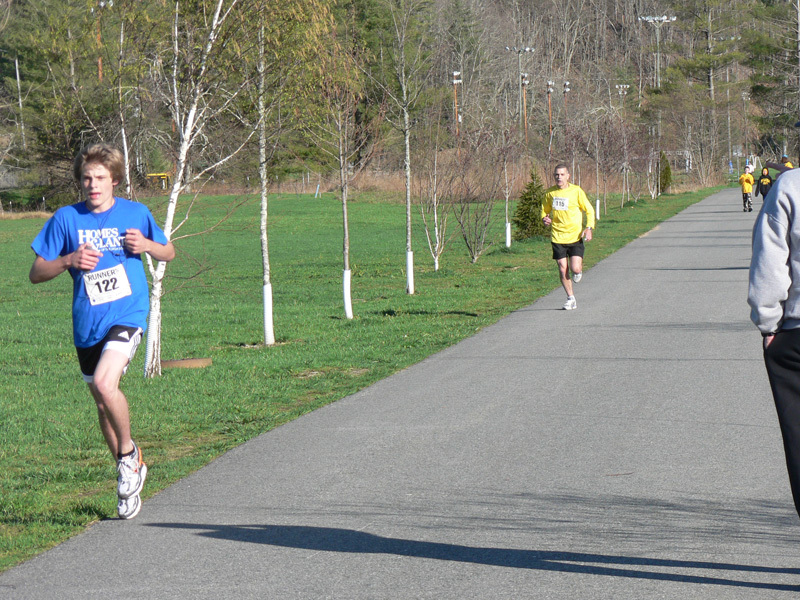 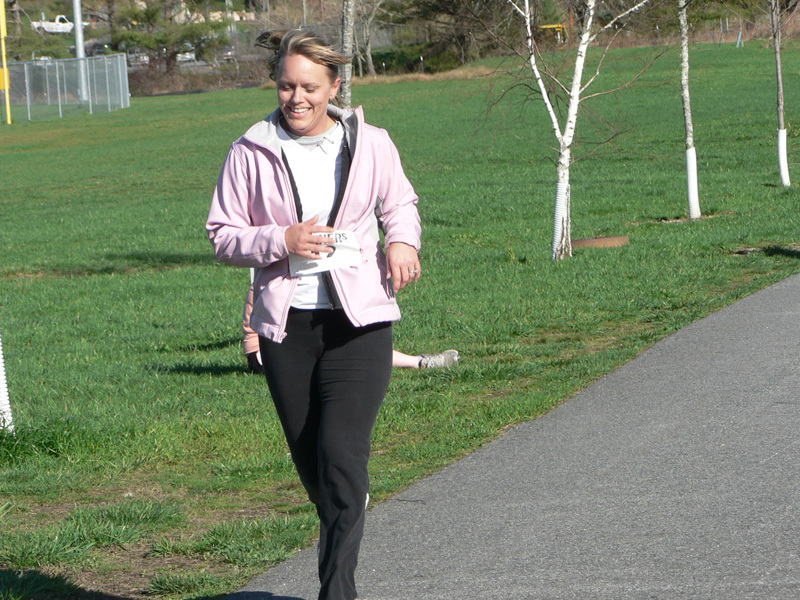 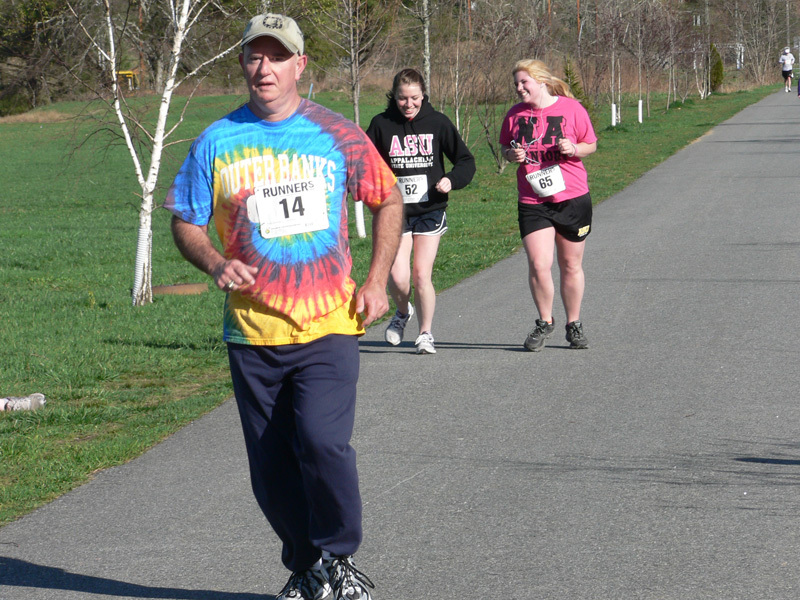 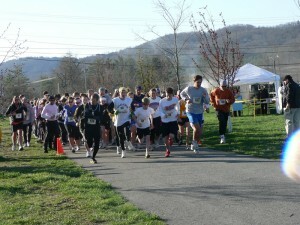 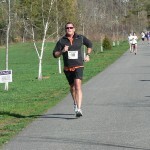 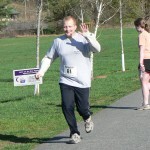 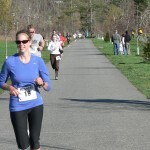 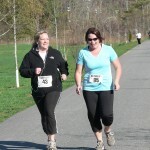 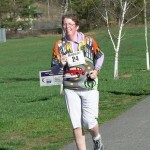 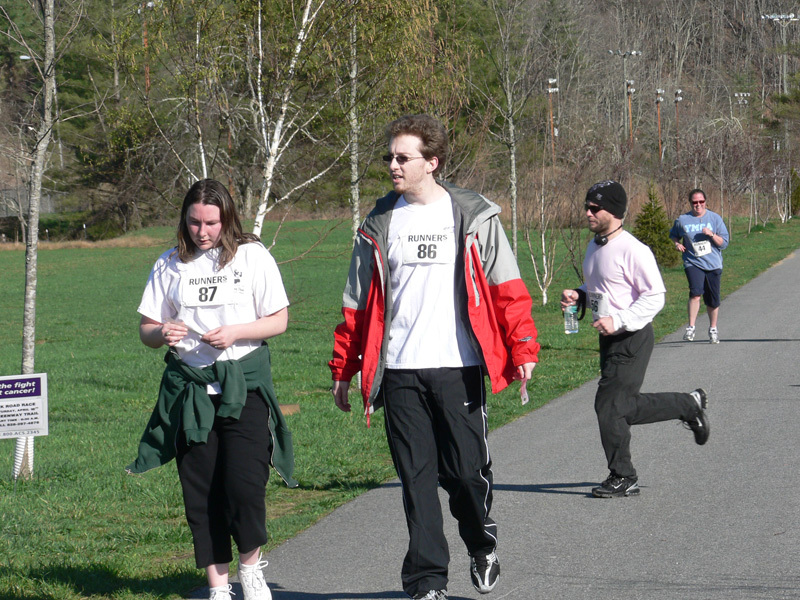 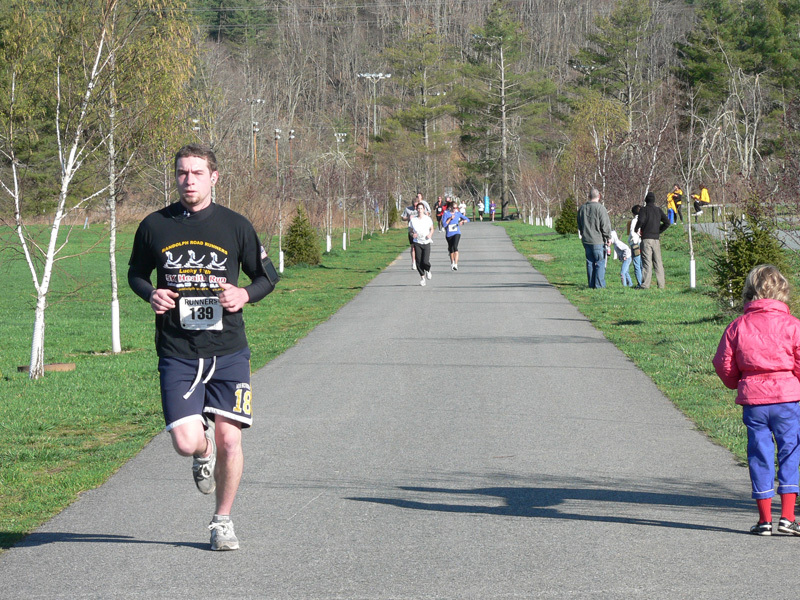 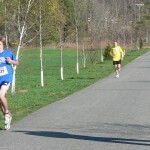 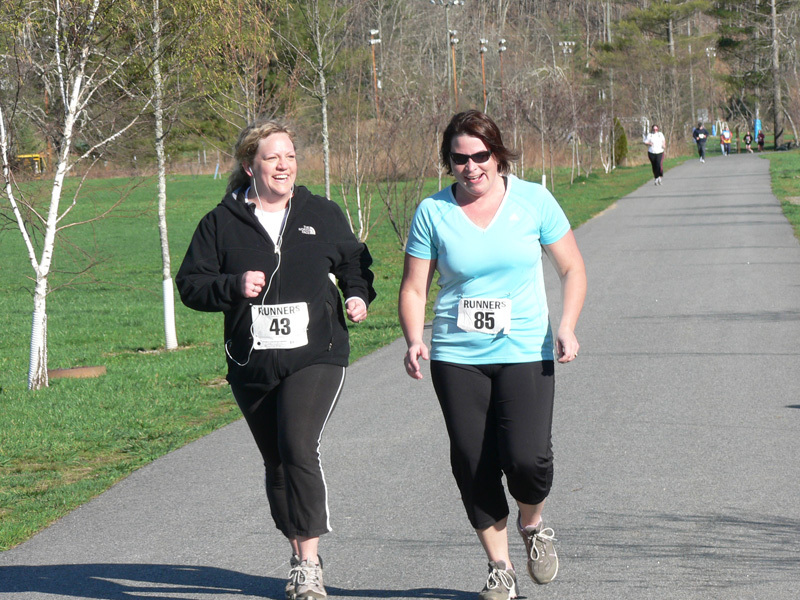 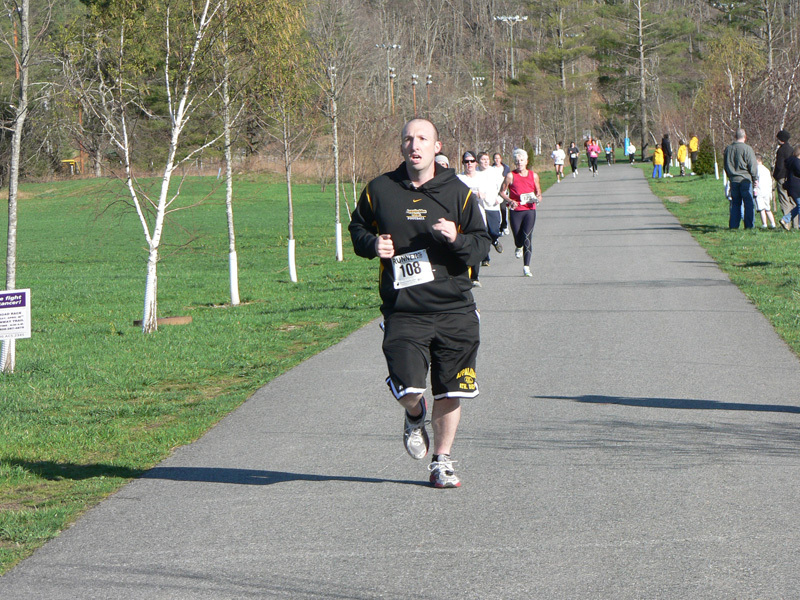 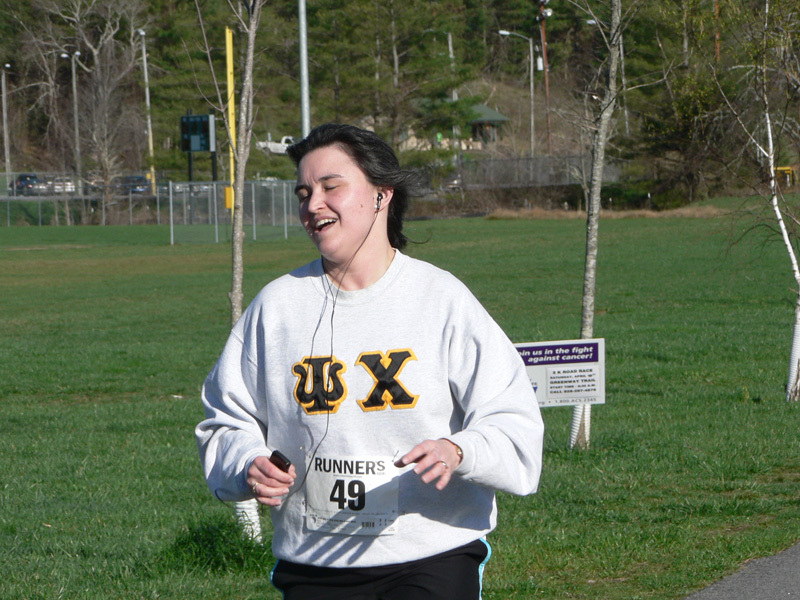 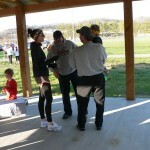 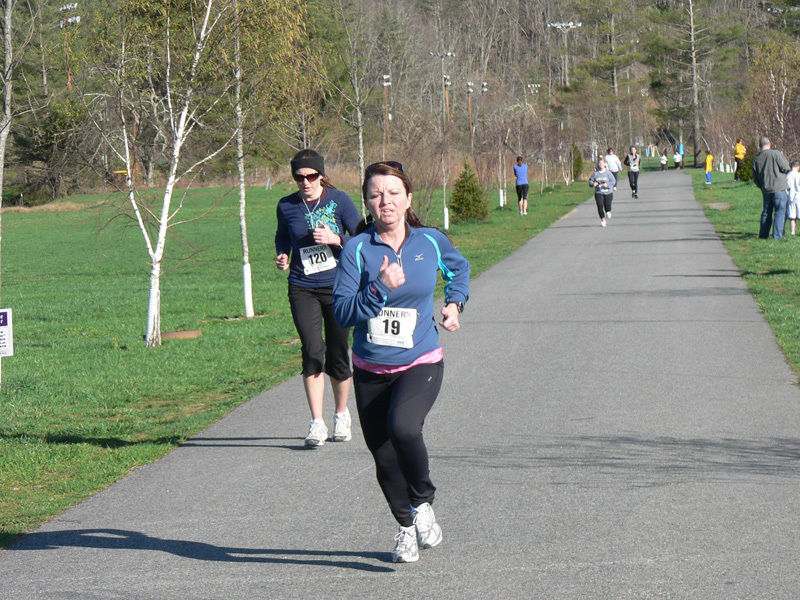 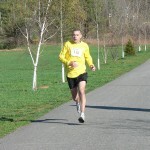 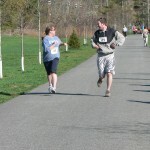 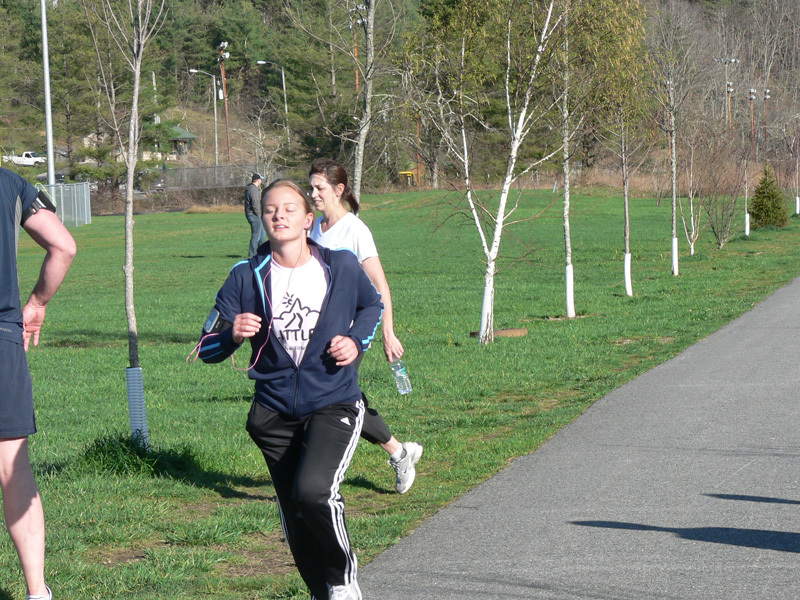 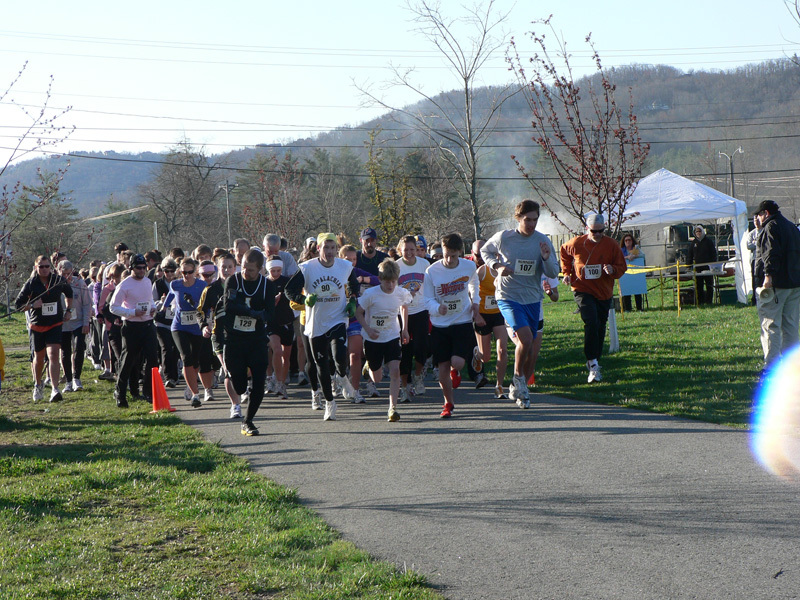 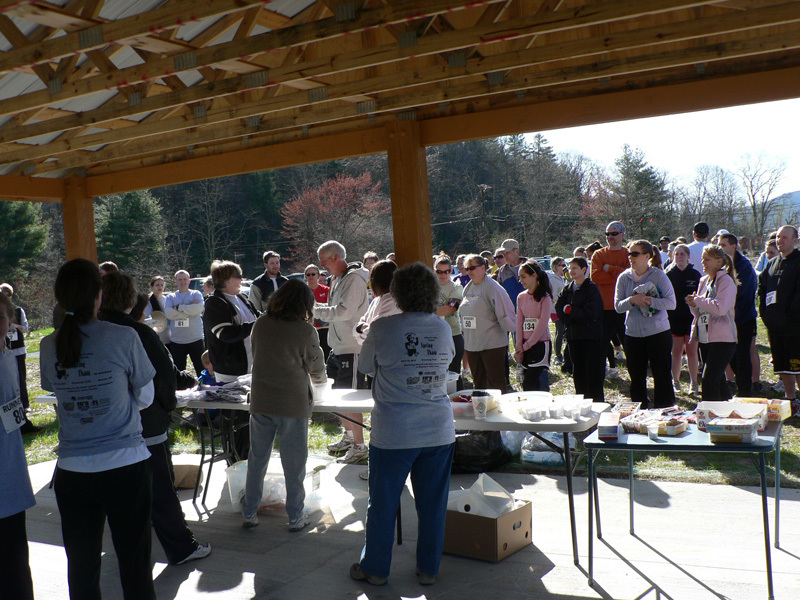 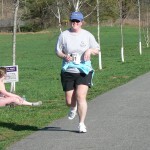 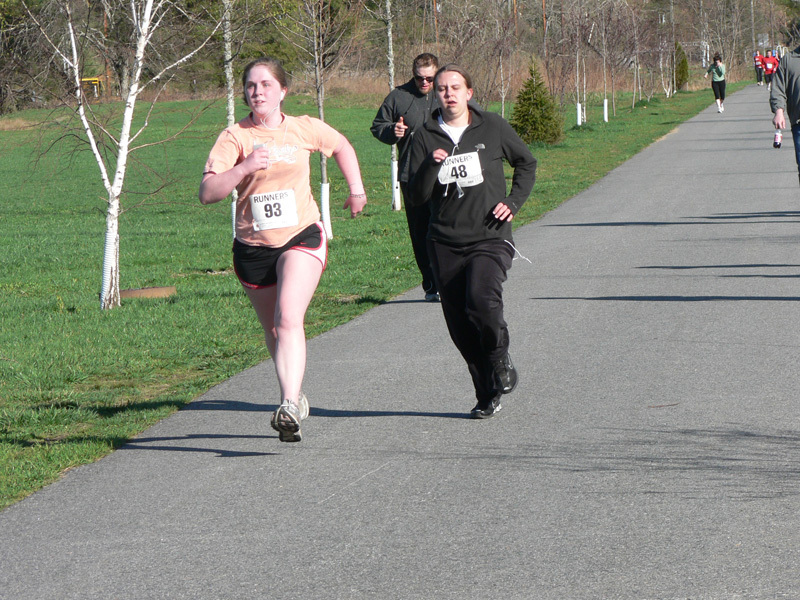 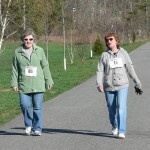 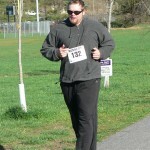 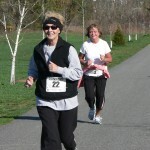 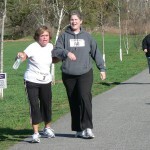 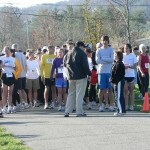 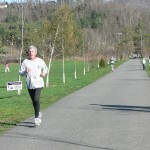 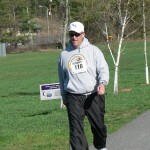 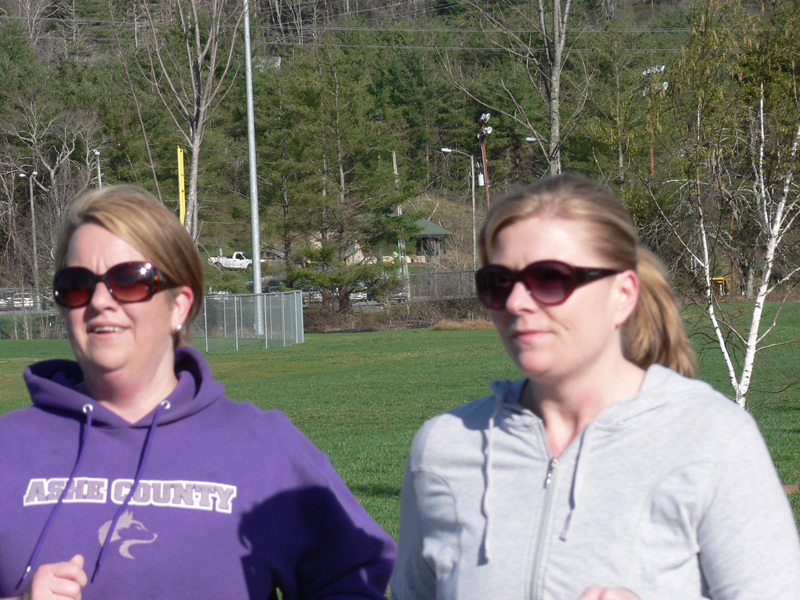 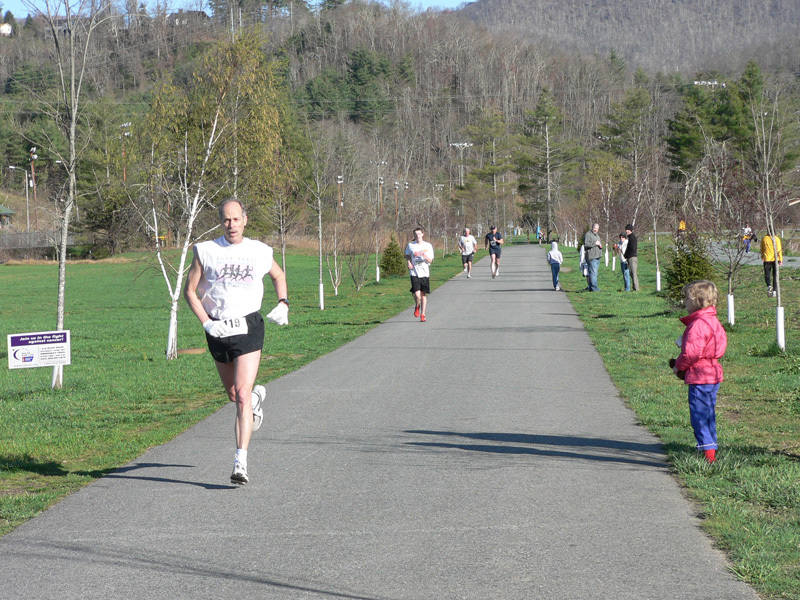 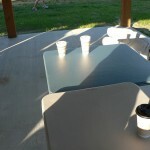 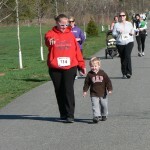 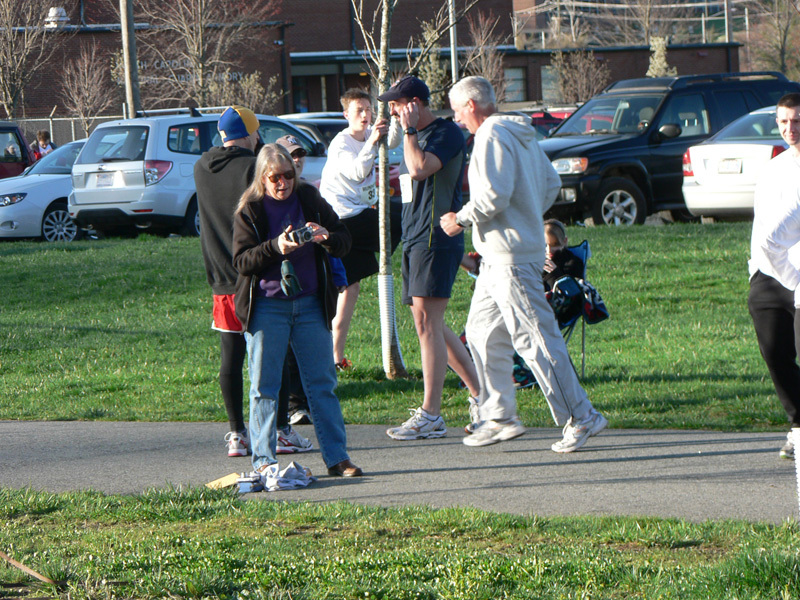 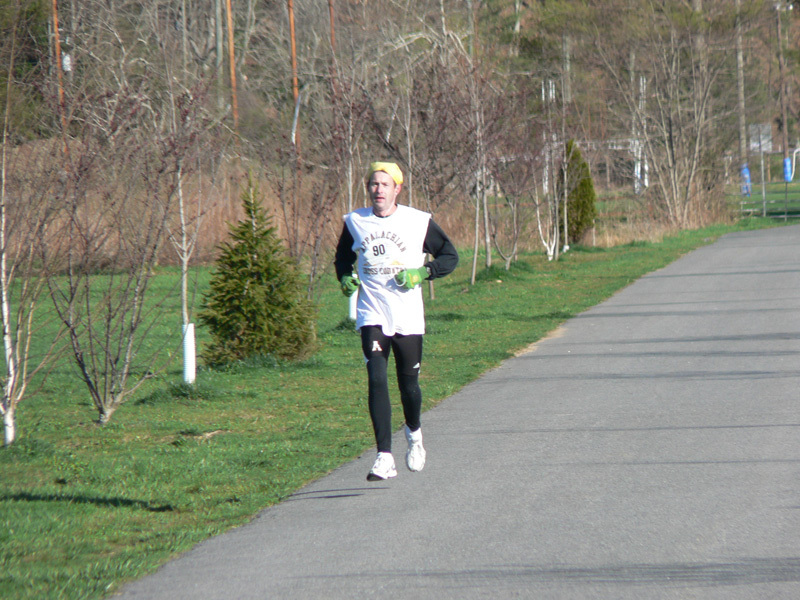 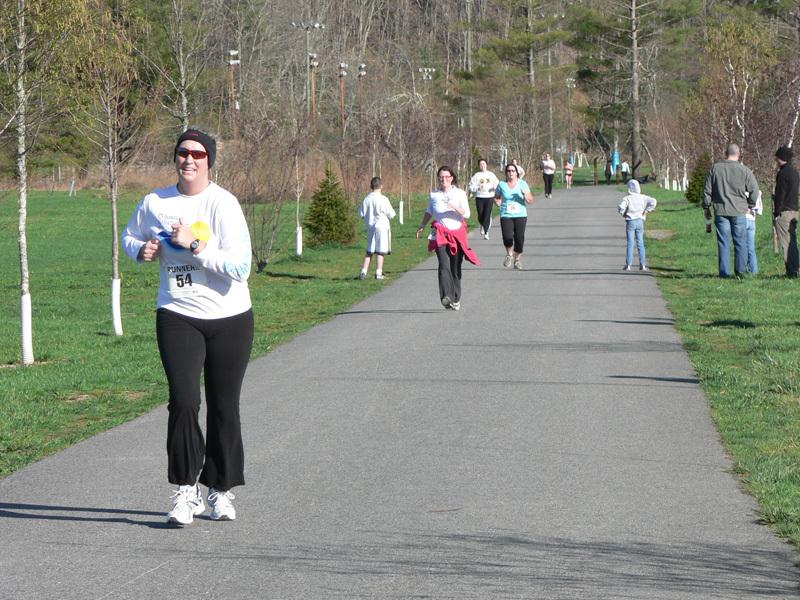 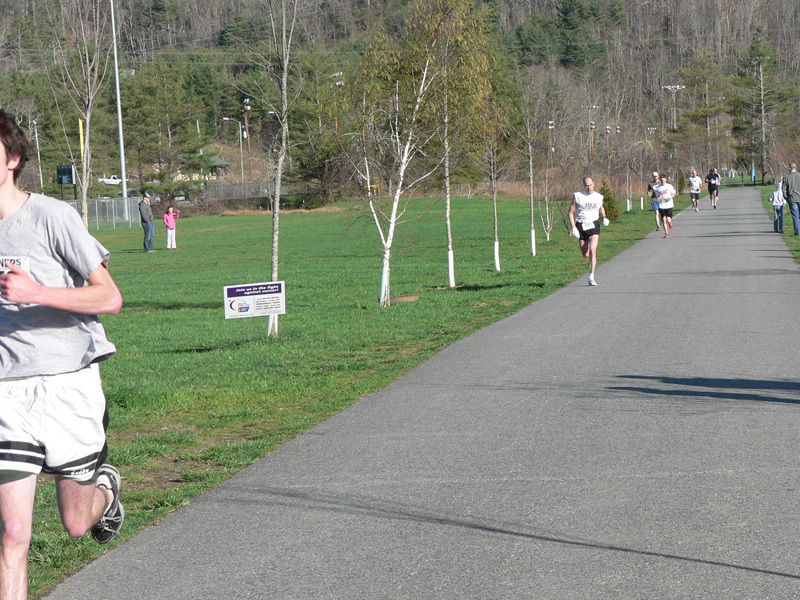 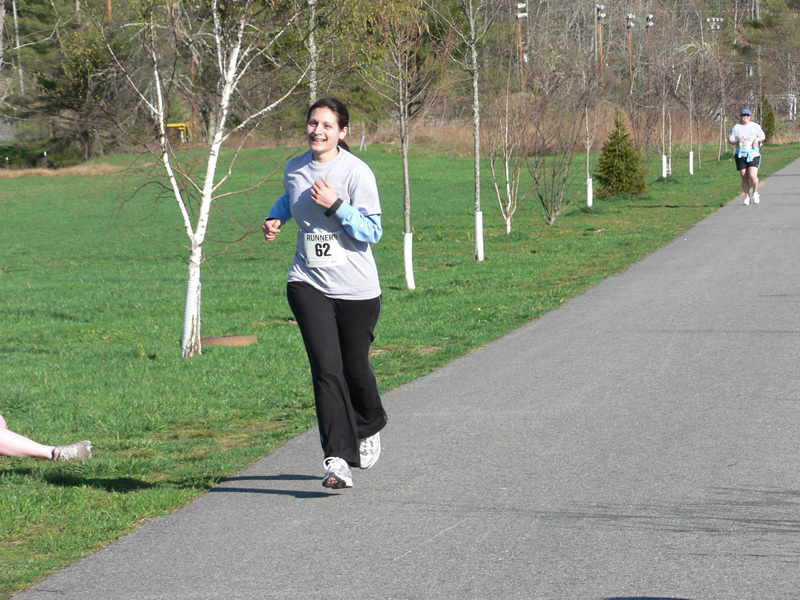 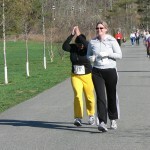 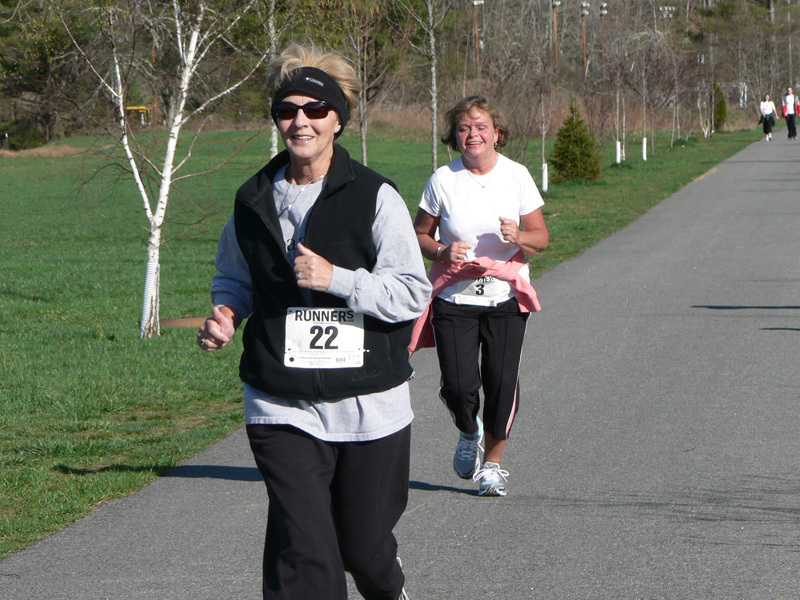 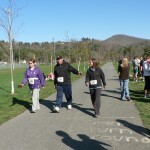 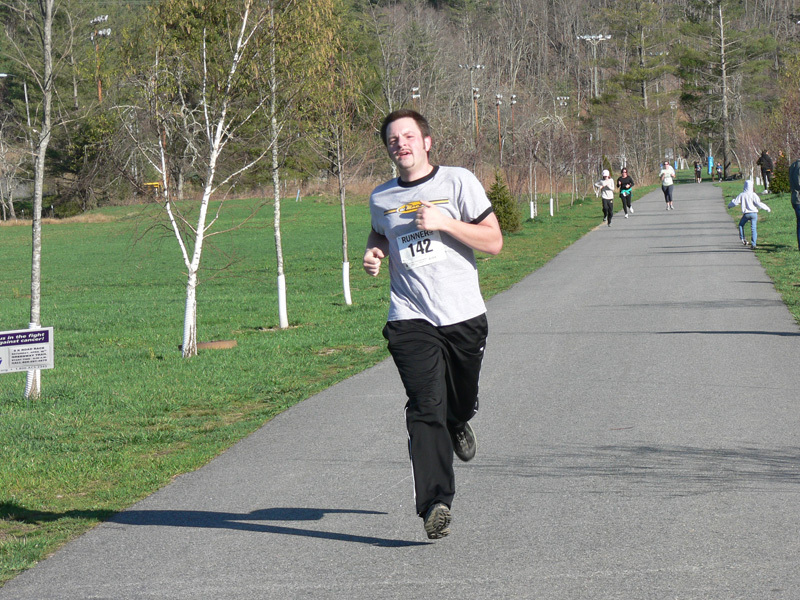 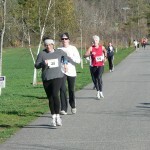 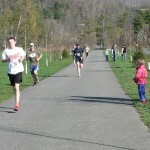 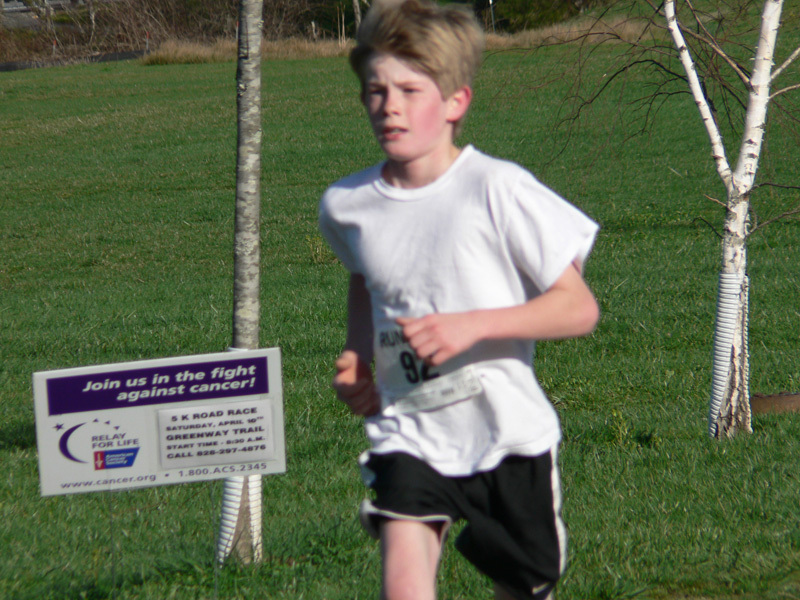 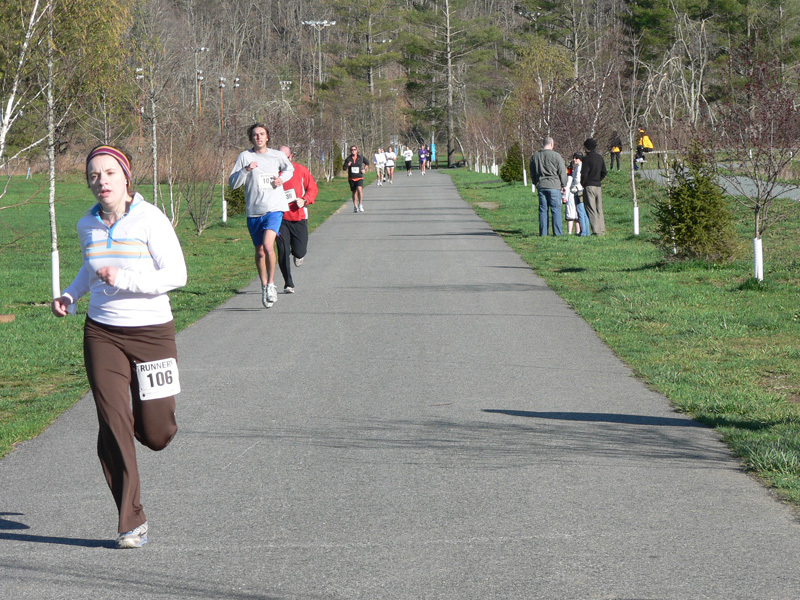 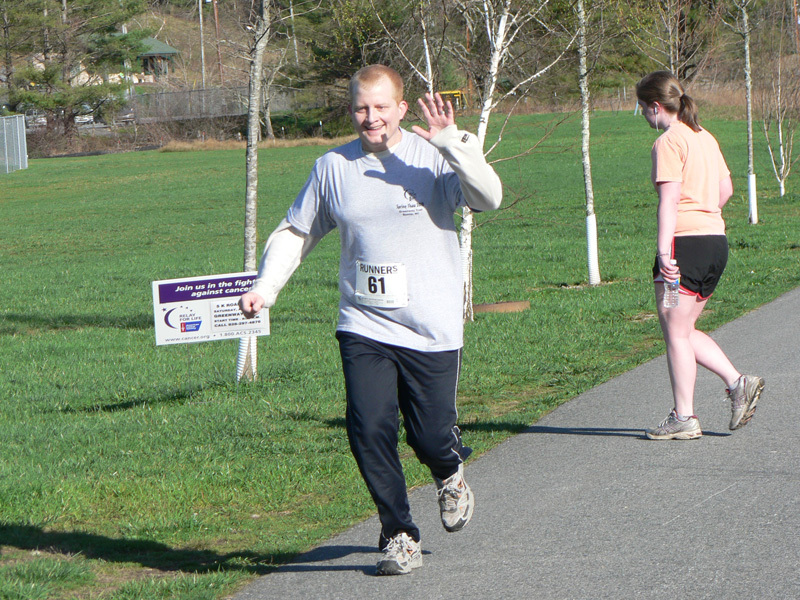 The past weekend’s 2010 Spring Thaw 5K benefitting the American Cancer Society Relay For Life was a huge success!! 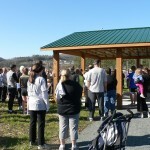 The weather was beautiful and the crowd was GREAT!! 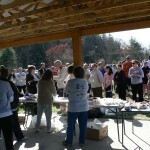 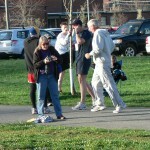 We had 128 runners and walkers participate. 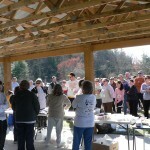 Thanks so much to all who participated and helped make this such a successful event!! 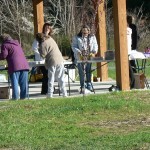 Volunteers work to prepare race packets.